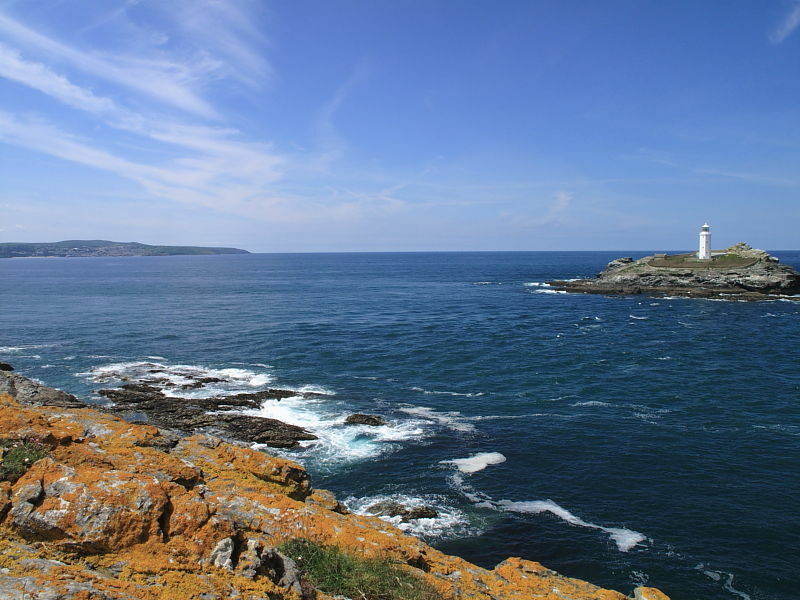 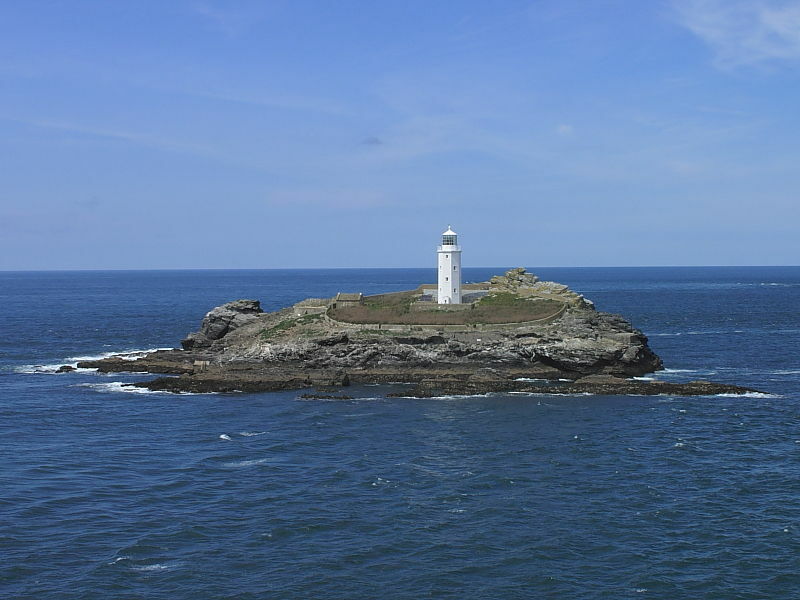 Godrevy is one of the best places in Cornwall to see Grey Seal, dolphins and Harbour Porpoise. 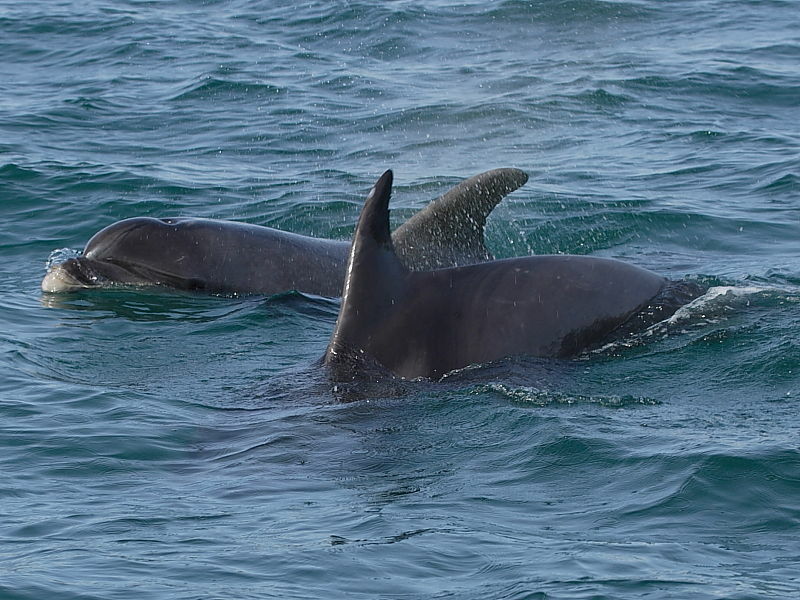 Dolphins: whilst looking for seals in the water you may be lucky and spot dolphins and Harbour Porpoise. 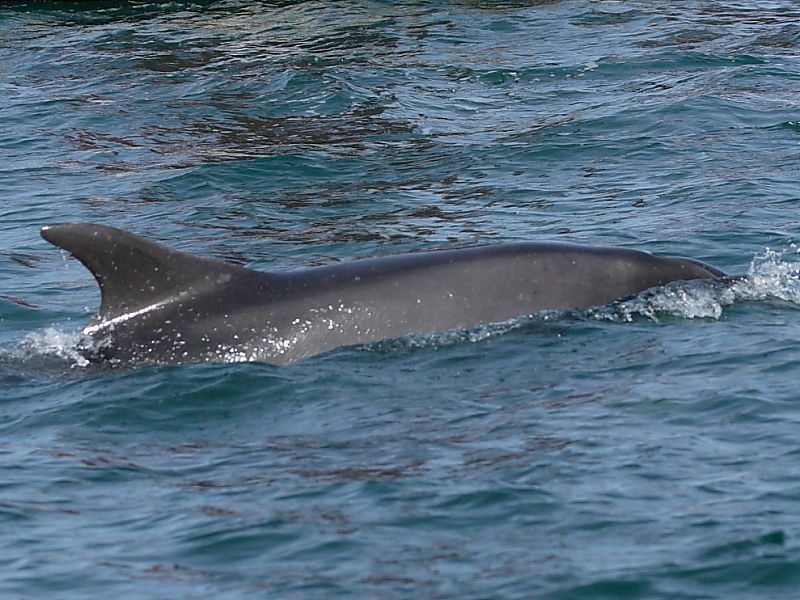 The most likely species of dolphin to be seen are Common, Bottlenose, Risso’s and Atlantic White-sided. 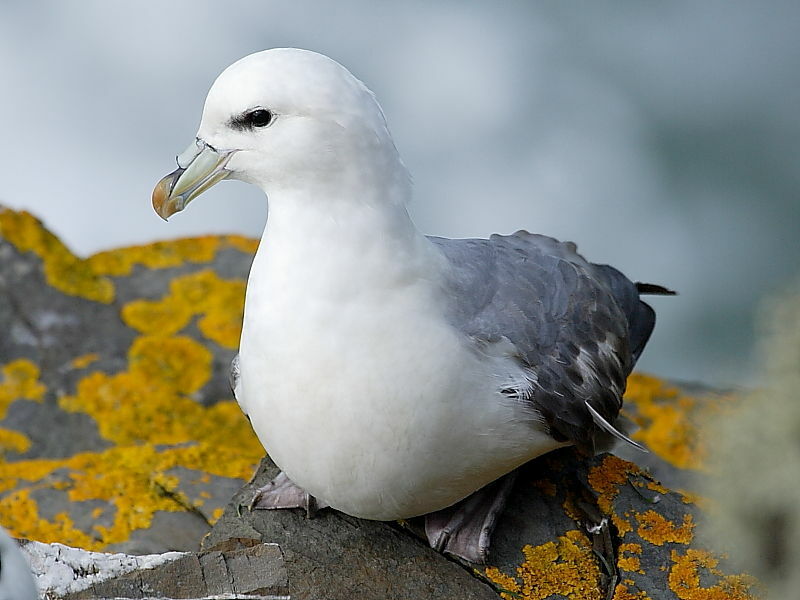 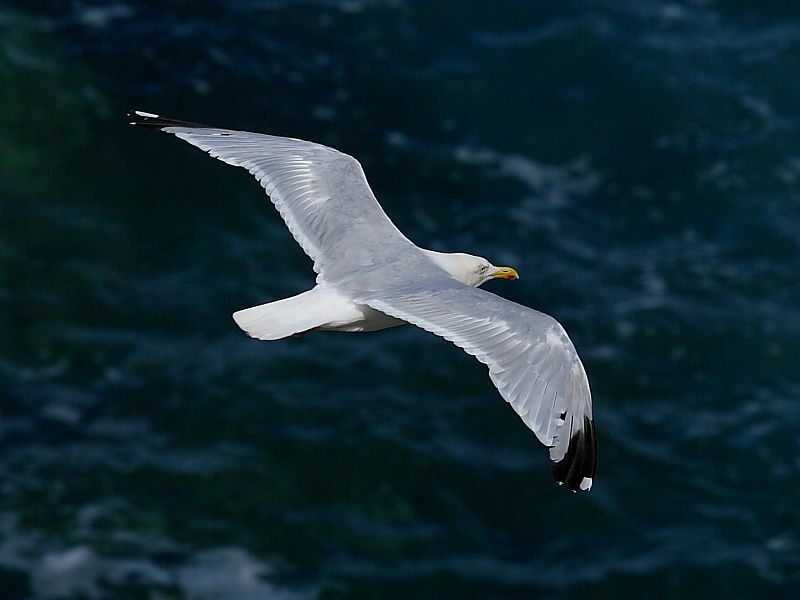 Fulmar:good numbers are present at most times of the year, flying effortlessly around the cliffs and sitting on rocky ledges. 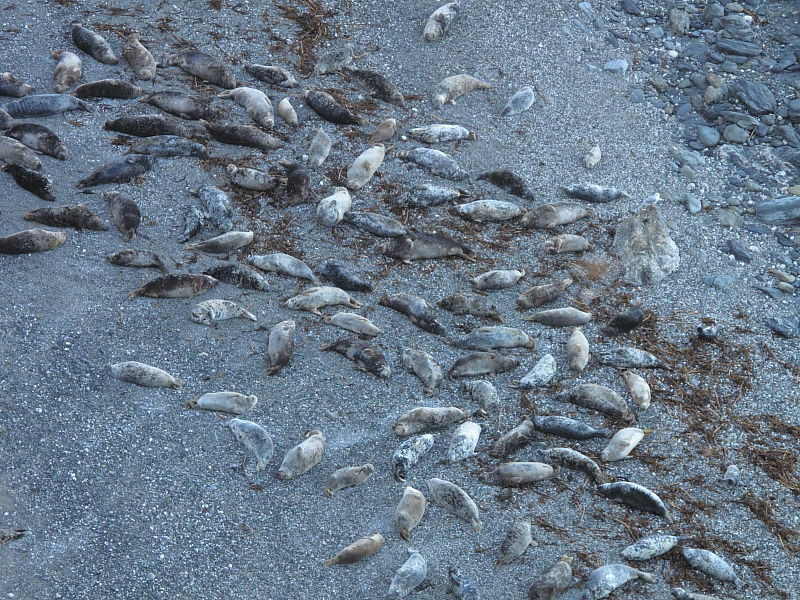 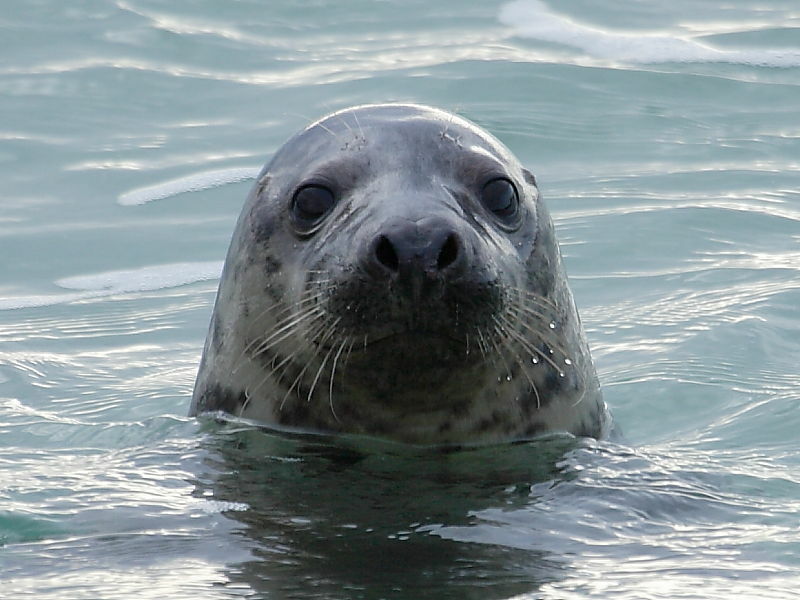 Grey Seal: this is one of the best places to see Grey Seal in Cornwall. 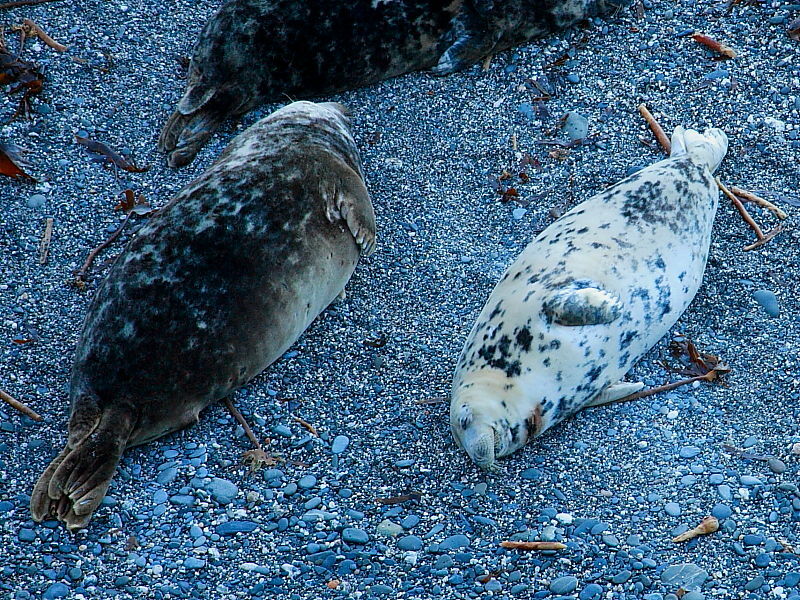 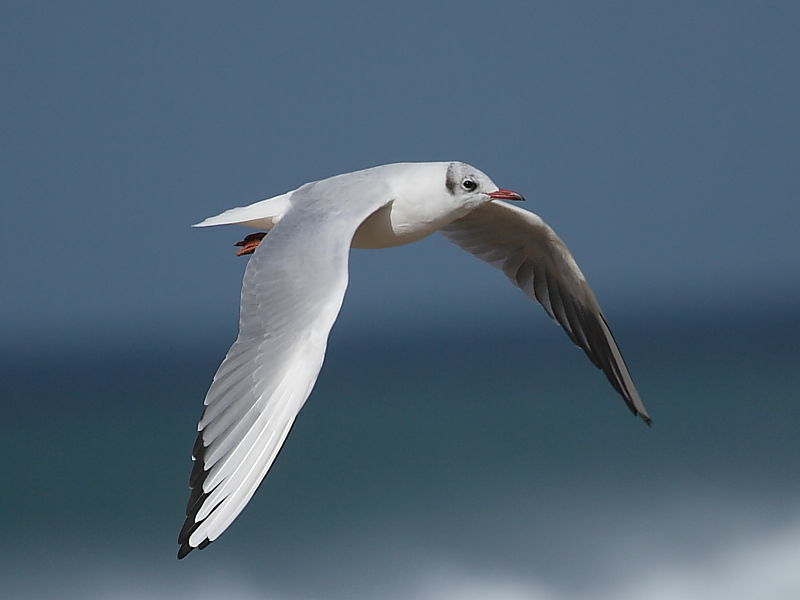 They are present all year but in winter their numbers increase significantly and at times more than 100 may be hauled out on the beach at Mutton Cove. 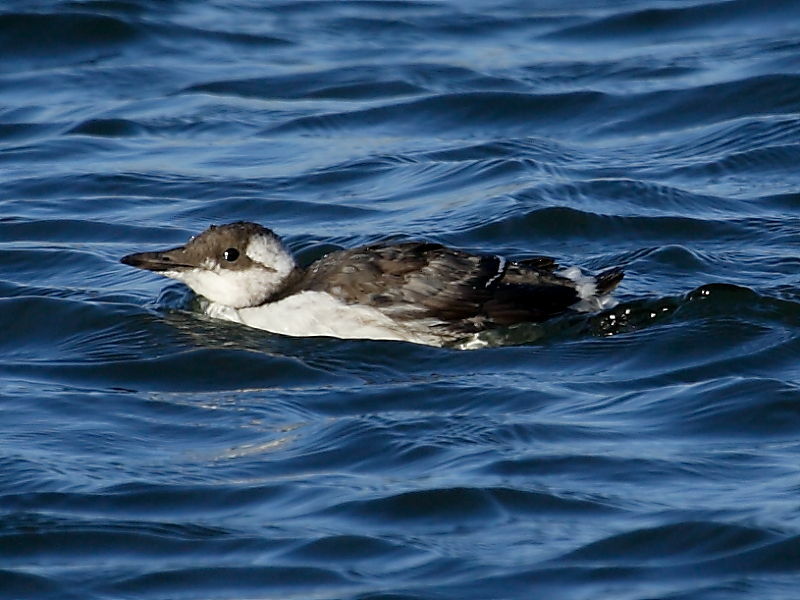 Guillemot: the headland provides an excellent vantage point to see a good variety of sea birds such as Guillemot. 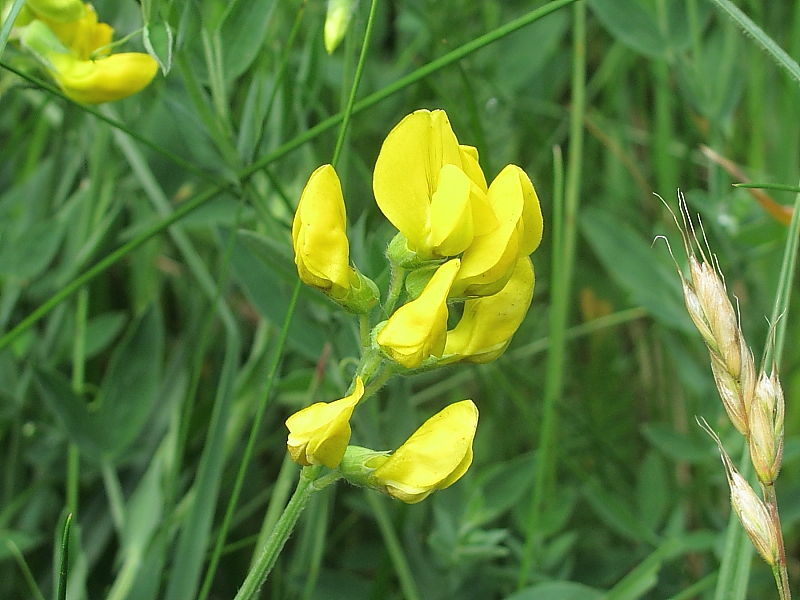 The grasslands support a mix of wild flowers including Yellow-rattle, Sheep’s-bit, Meadow Vetchling, Devil’s-bit Scabious and Thrift. 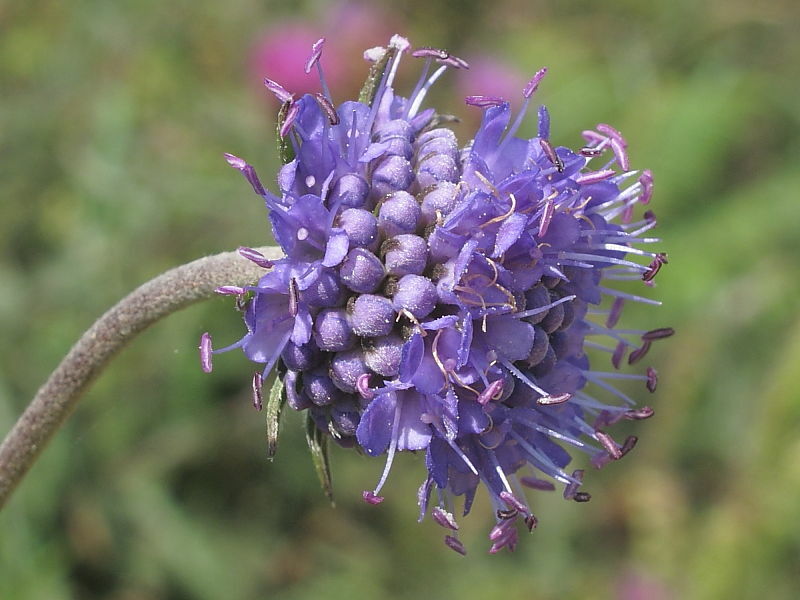 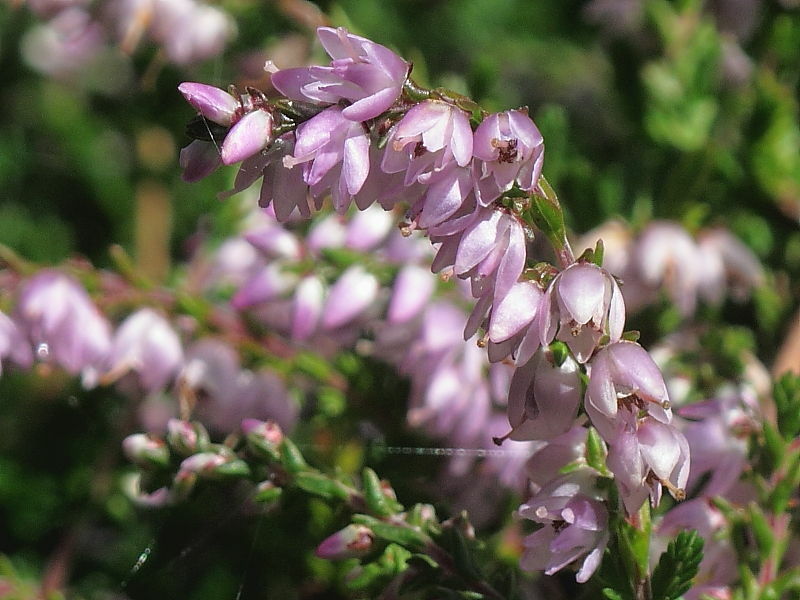 The heathland turns purple in summer when it’s covered in Betony, Ling, Bell Heather and Saw-wort. 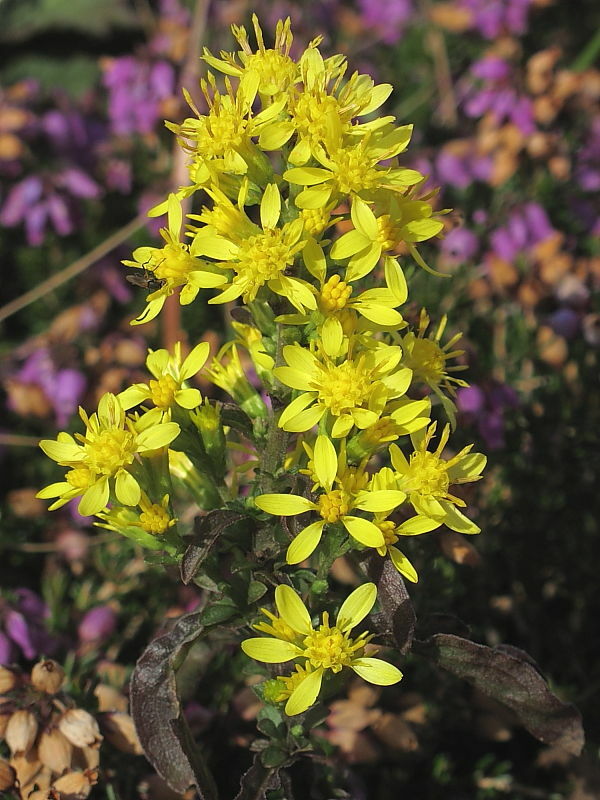 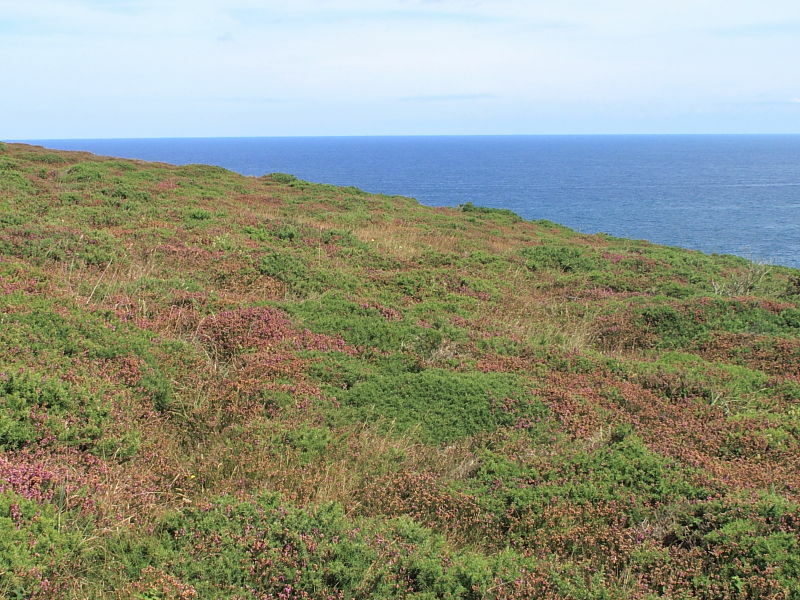 The gorse scrubland includes Gorse, Creeping Thistle, Blackthorn and Goldenrod. 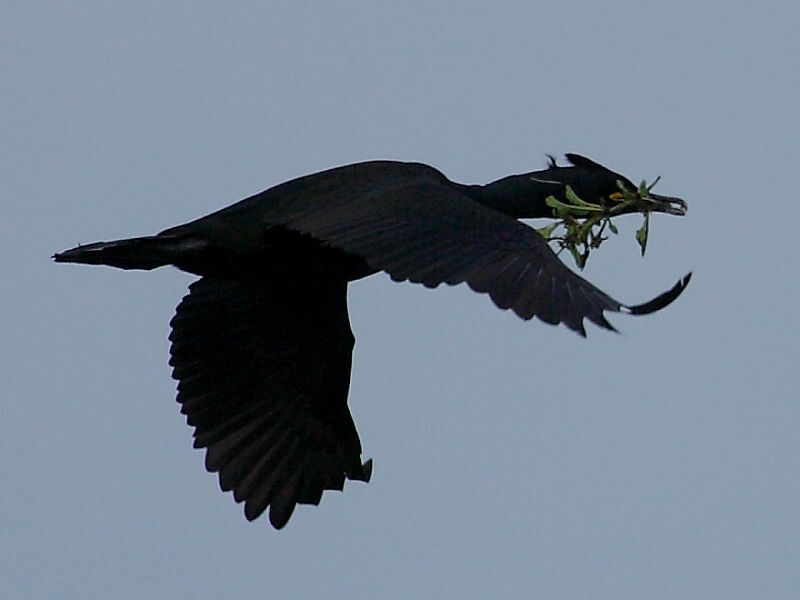 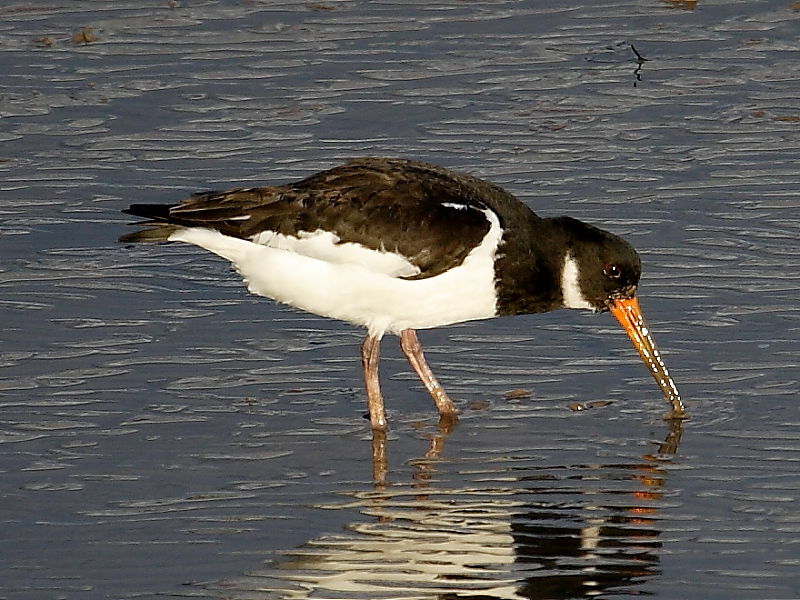 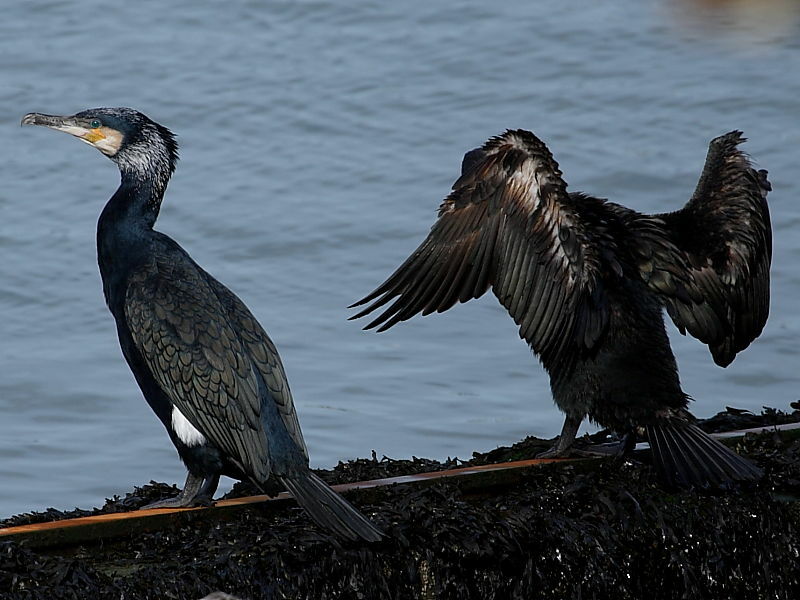 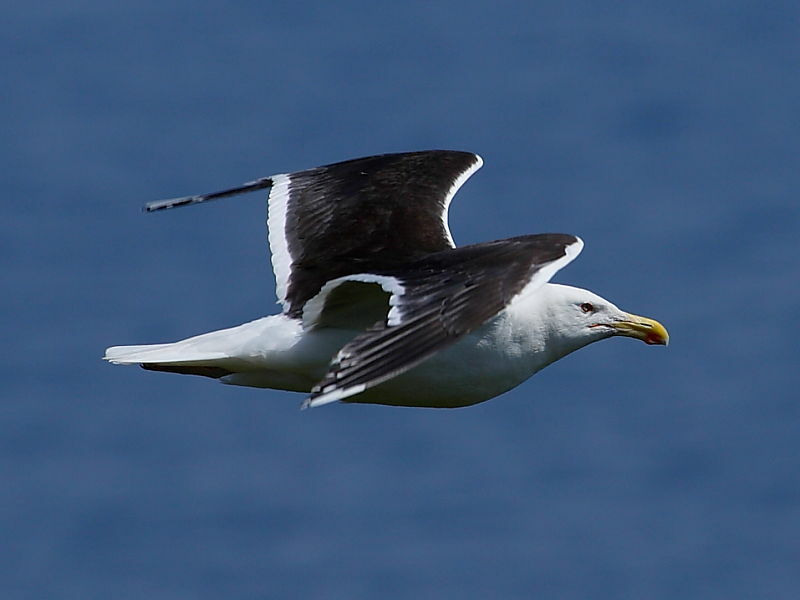 Sea birds such as Cormorant, Shag, Fulmar, Black-headed Gull, Herring Gull and Oystercatcher are common. 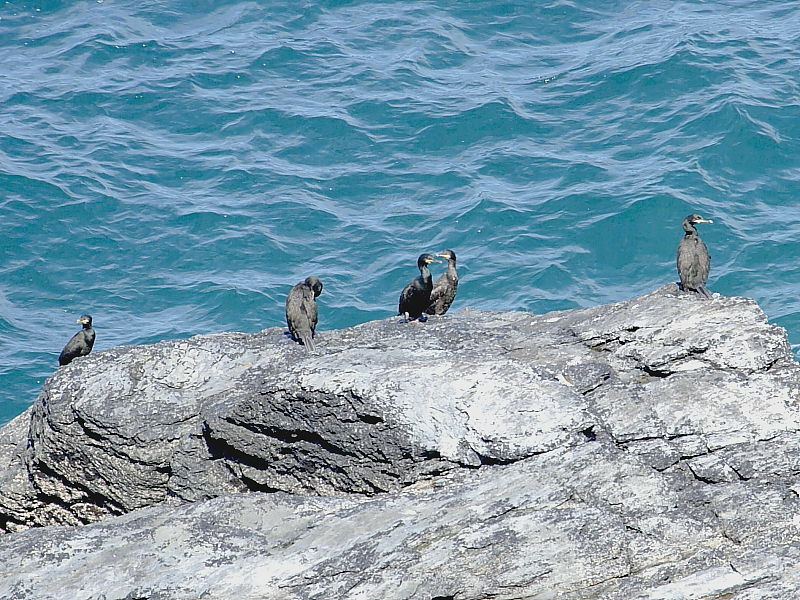 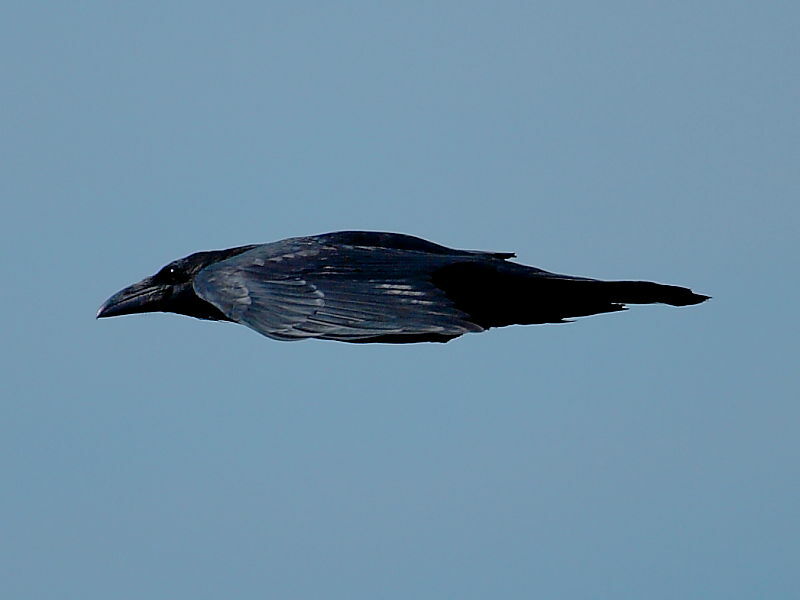 Predatory Raven and Great Black-backed Gull patrol the cliffs looking out for an easy meal such as eggs or chicks left unattended by gulls and Fulmar in the summer. 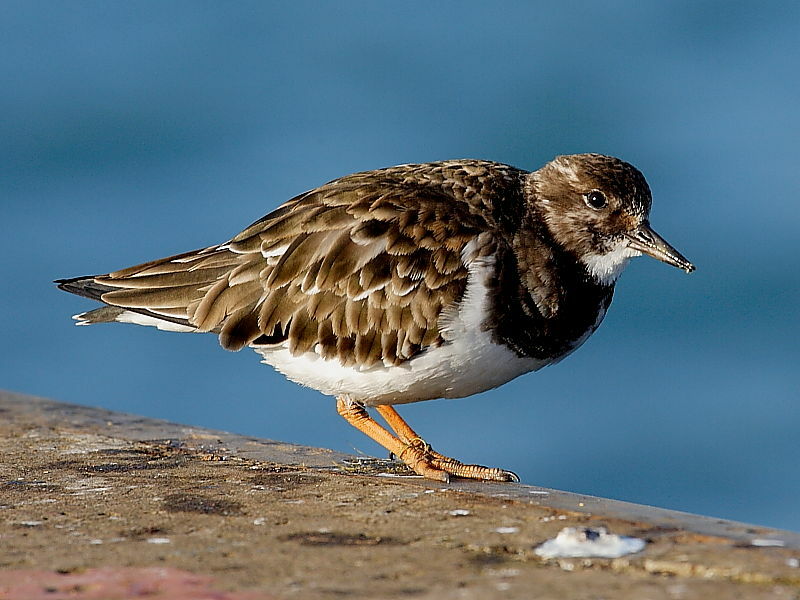 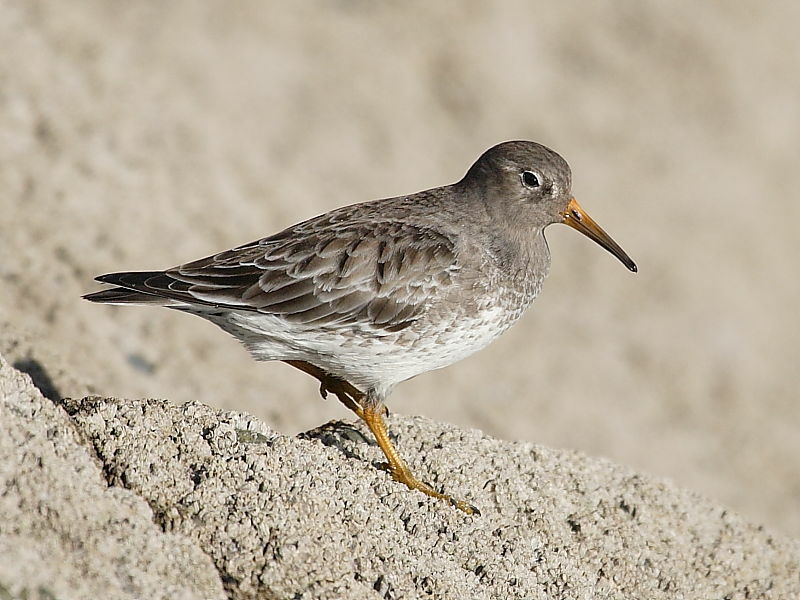 Small numbers of shore birds including Purple Sandpiper, Grey Plover and Turnstone can often be seen, particularly in winter feeding or resting on the weed-strewn rocks at low water. 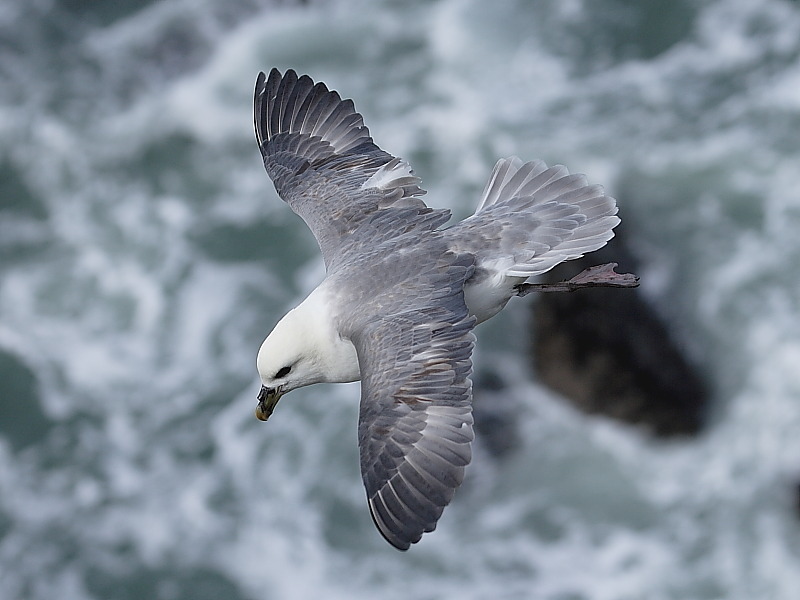 Westerly gales may bring Petrels, Skuas and Shearwaters into St Ives Bay and closer to the headland. 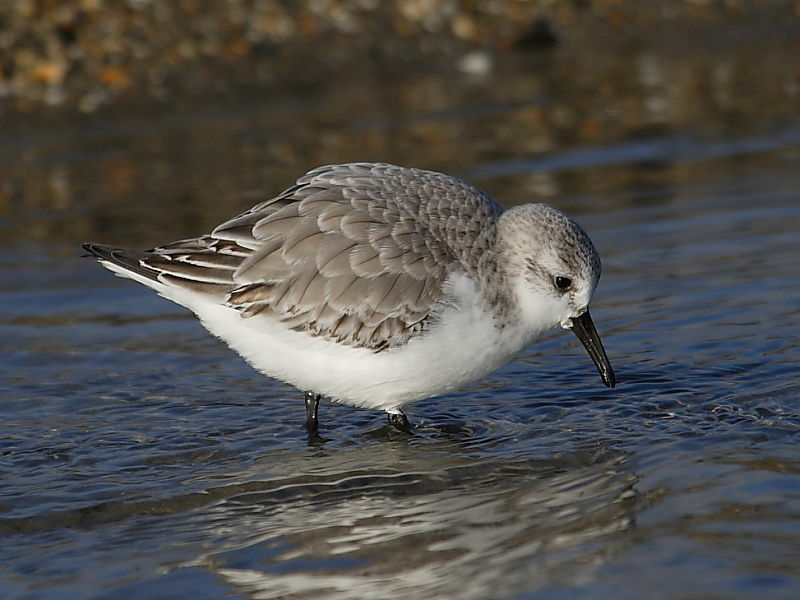 Sanderling may also be seen in the winter, rushing up and down the sandy beaches in tune with the ever moving surf line. 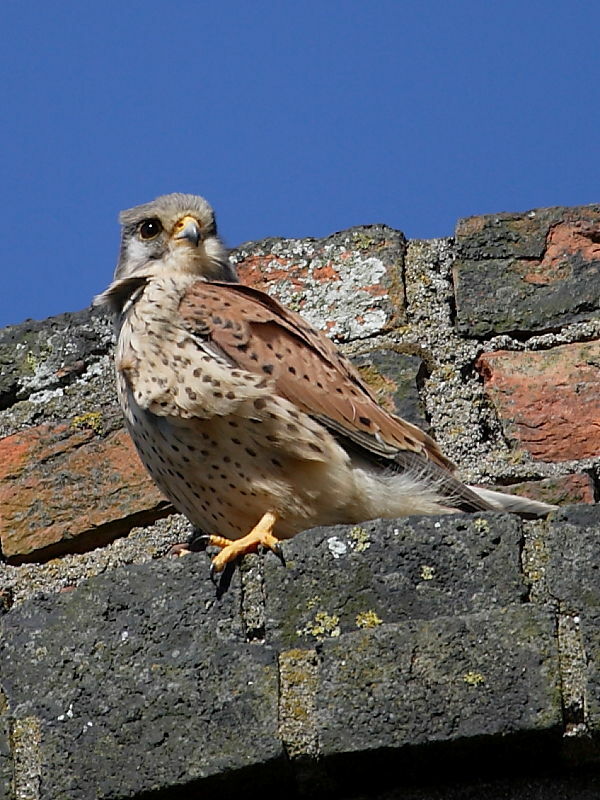 The most common bird of prey is the hovering Kestrel but there is always the chance of seeing a Peregrine falcon, the fastest bird of prey in the British Isles. 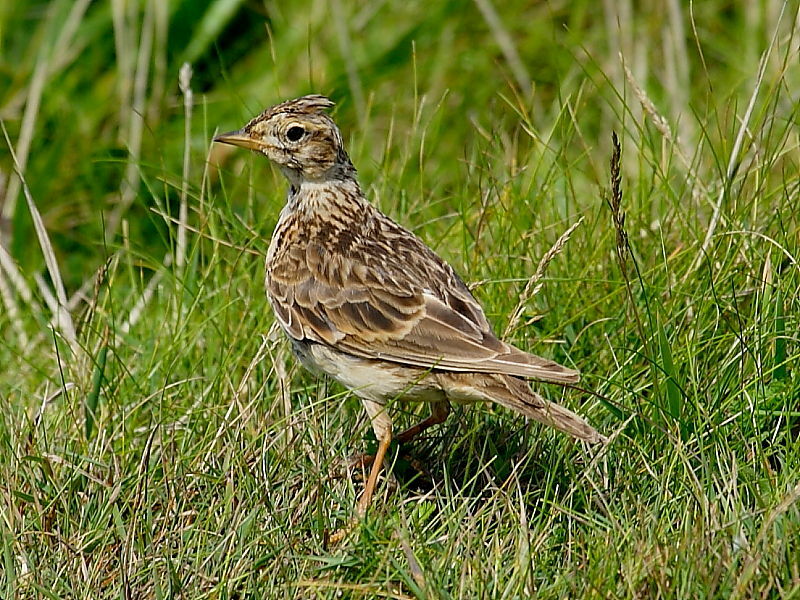 Skylark nest in the undisturbed Heather and in spring and summer they can be seen and heard during their soaring display flight. 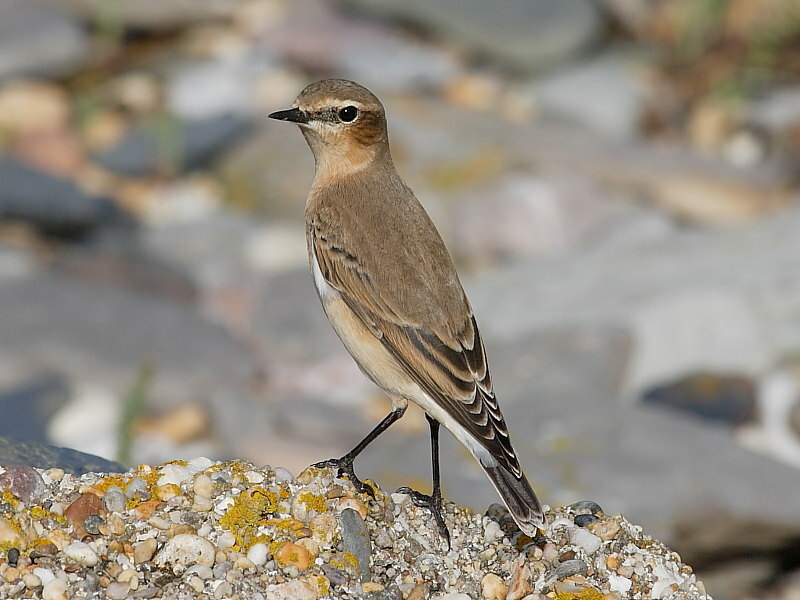 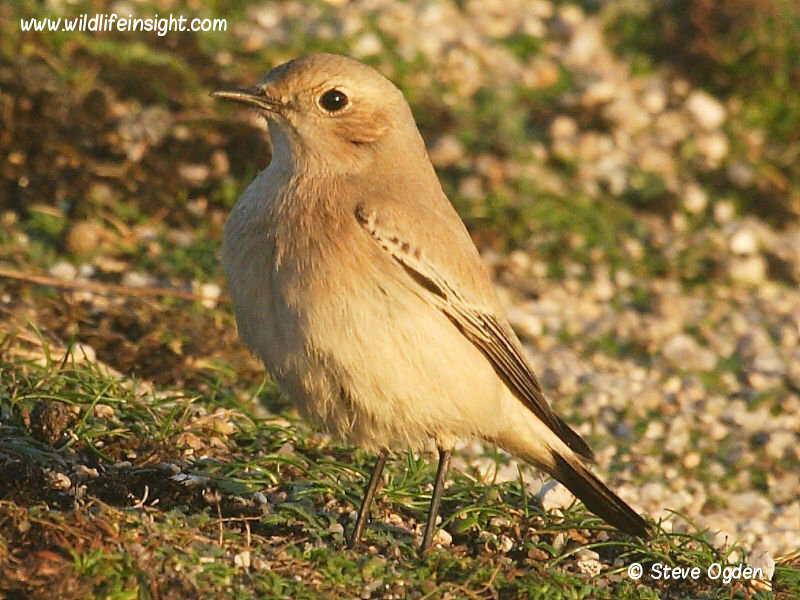 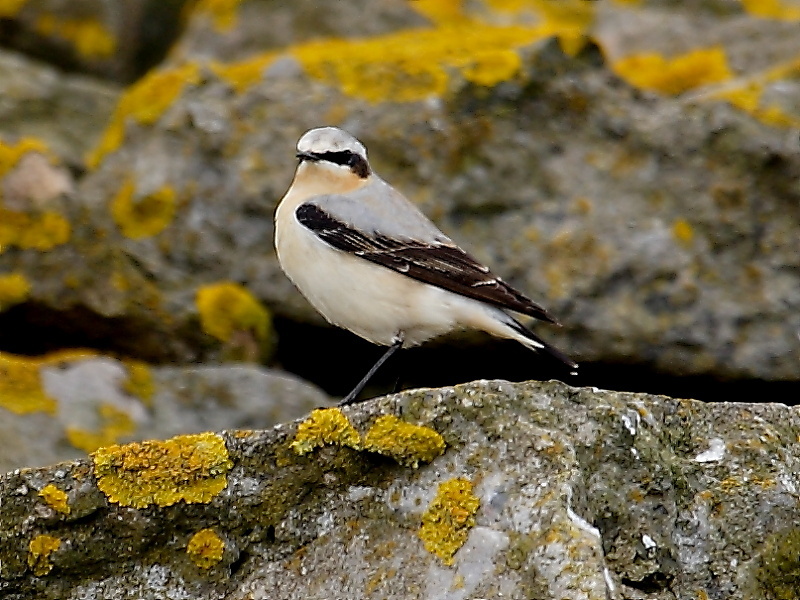 Migratory birds such as Wheatear are most often seen feeding around the grassy cliff tops during spring and autumn passage. 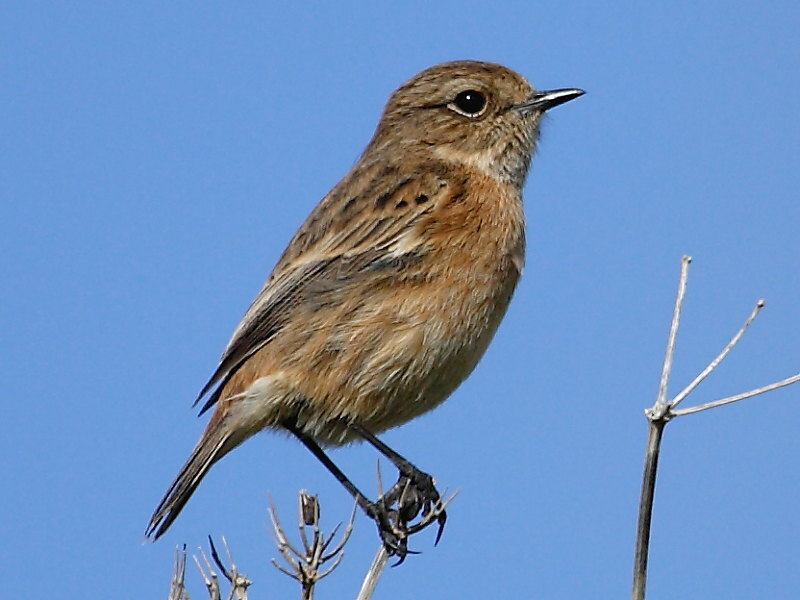 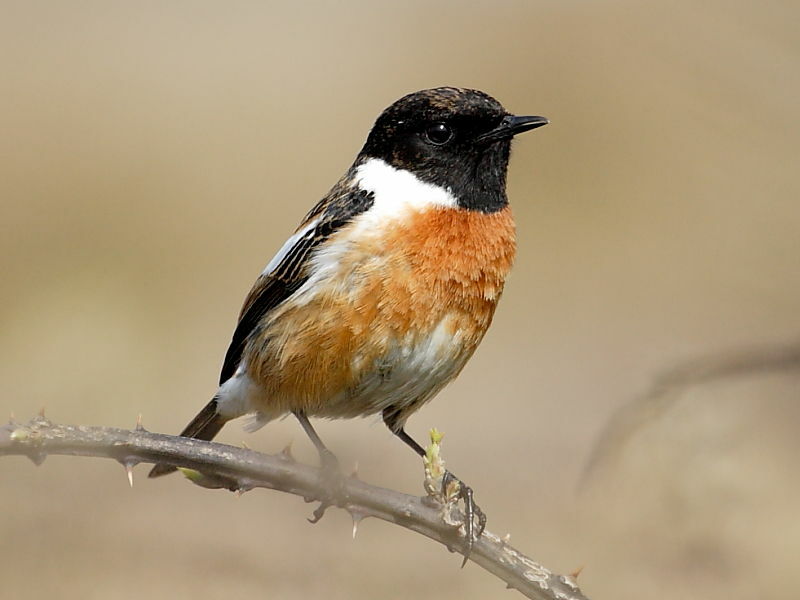 Brightly-coloured Stonechat are present all year, often conveniently sitting on top of Gorse bushes. 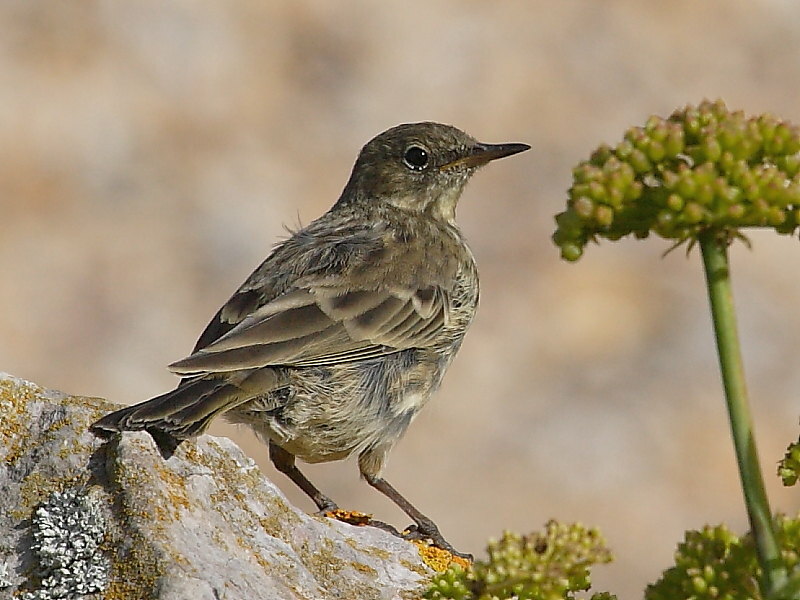 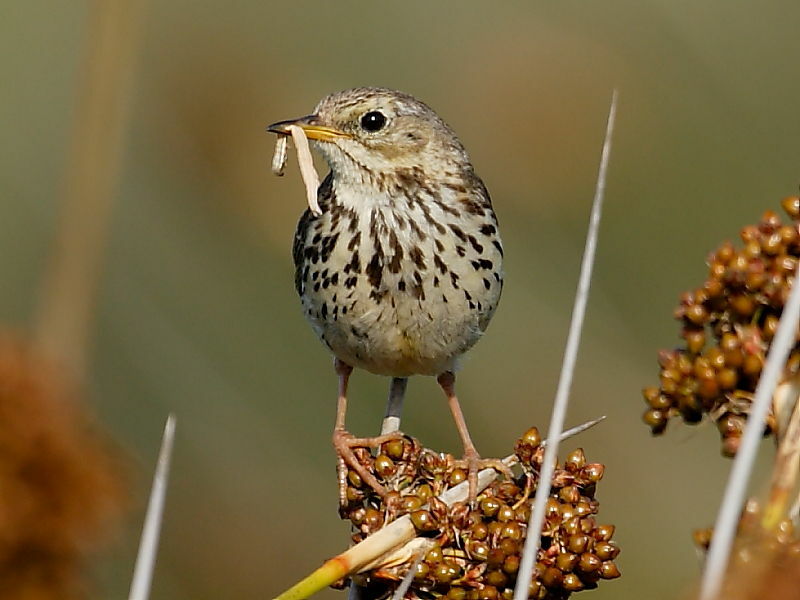 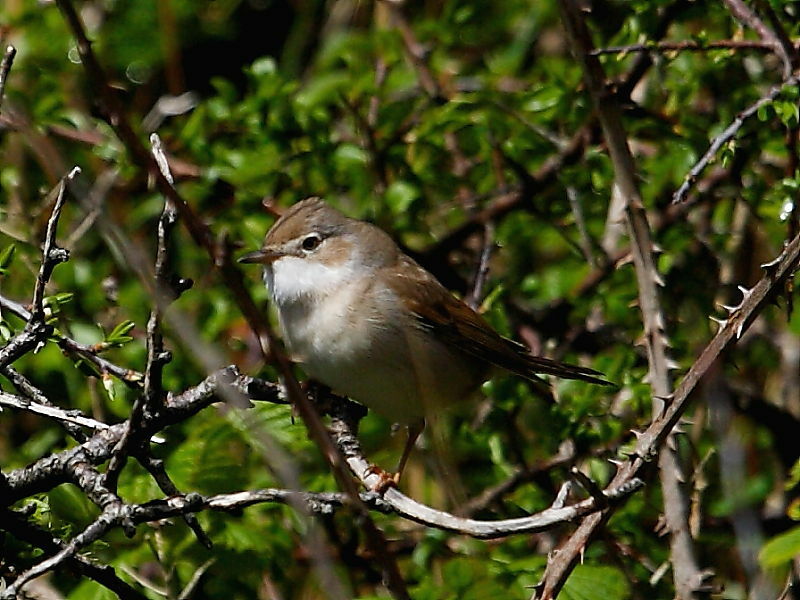 Whitethroat, Linnet, Rock Pipit and Meadow Pipit are some of the other birds likely to be seen. 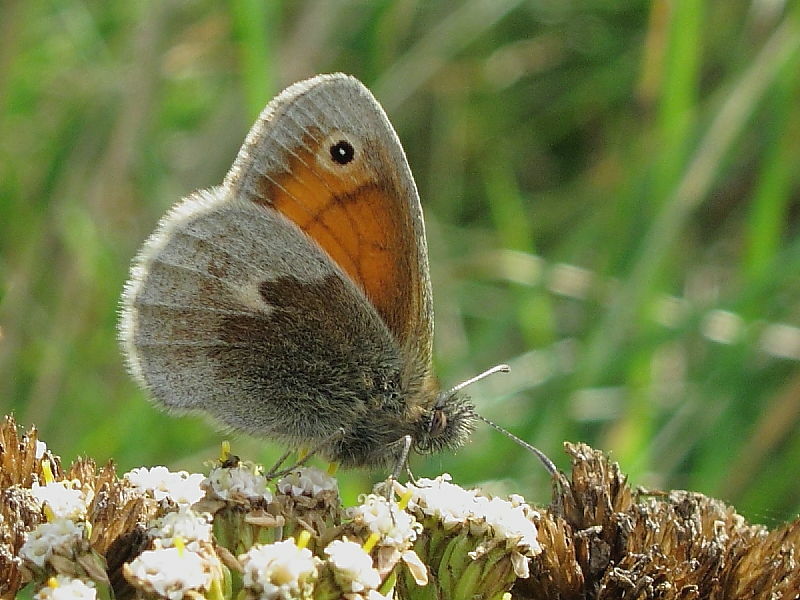 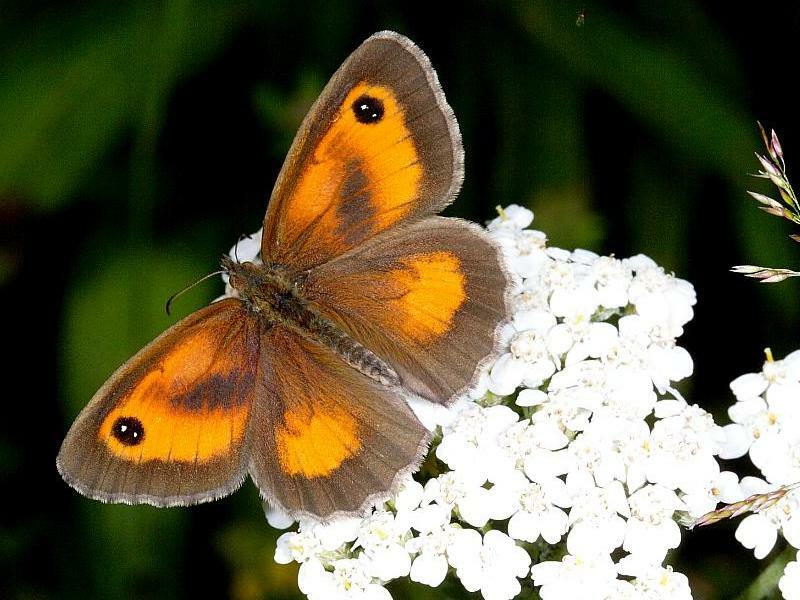 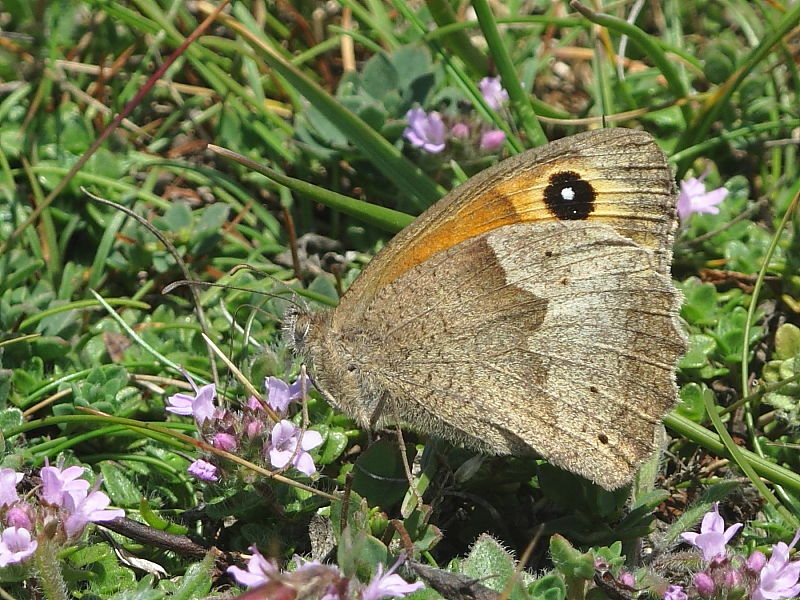 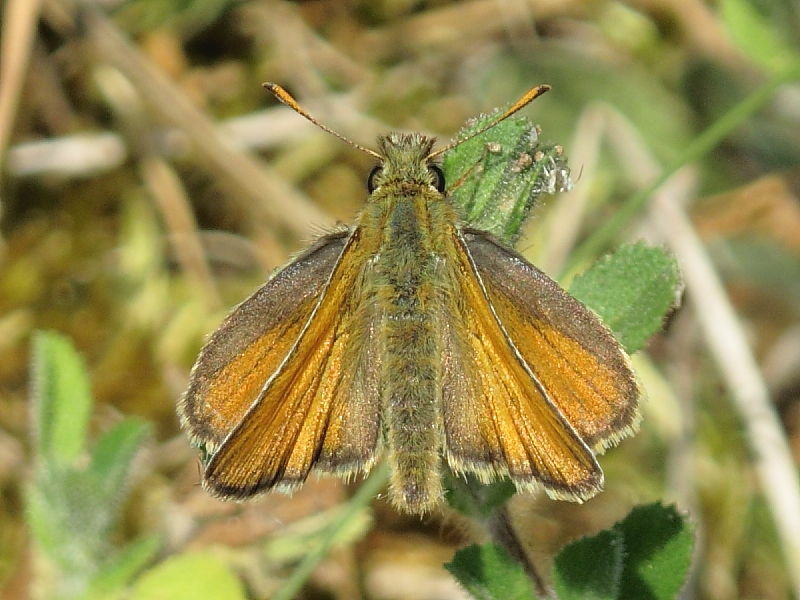 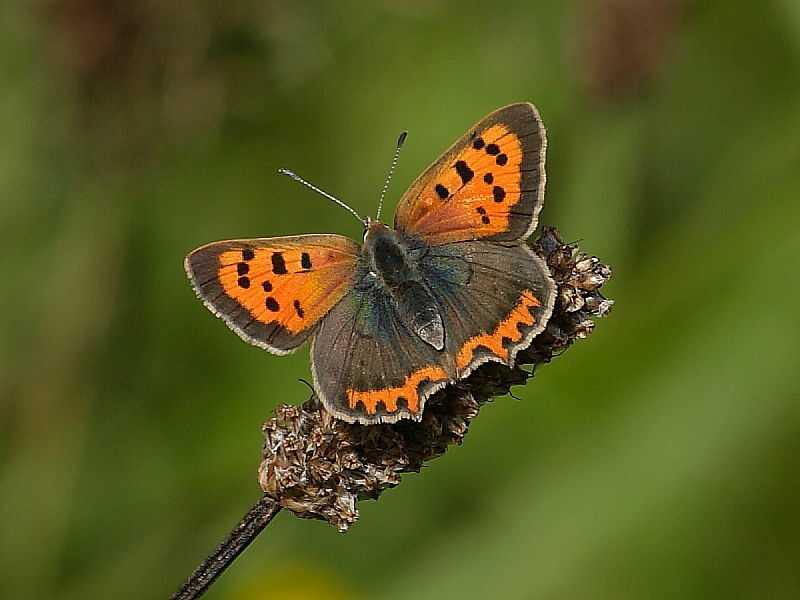 Typical coastal downland species such as Common Blue, Meadow Brown, Gatekeeper and Small Heath are common. 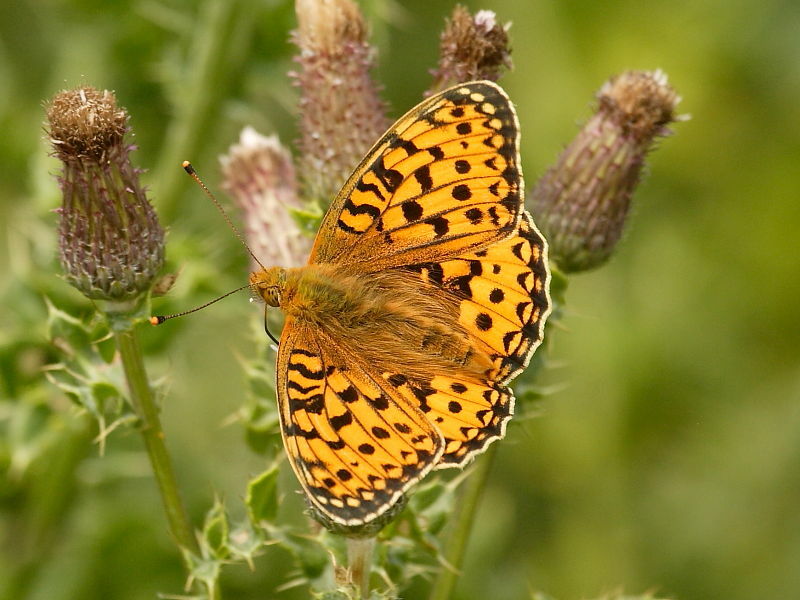 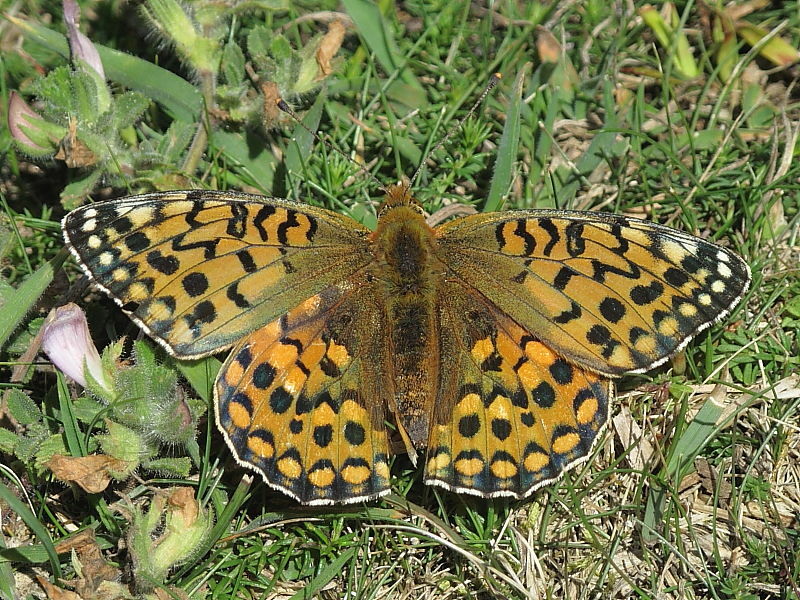 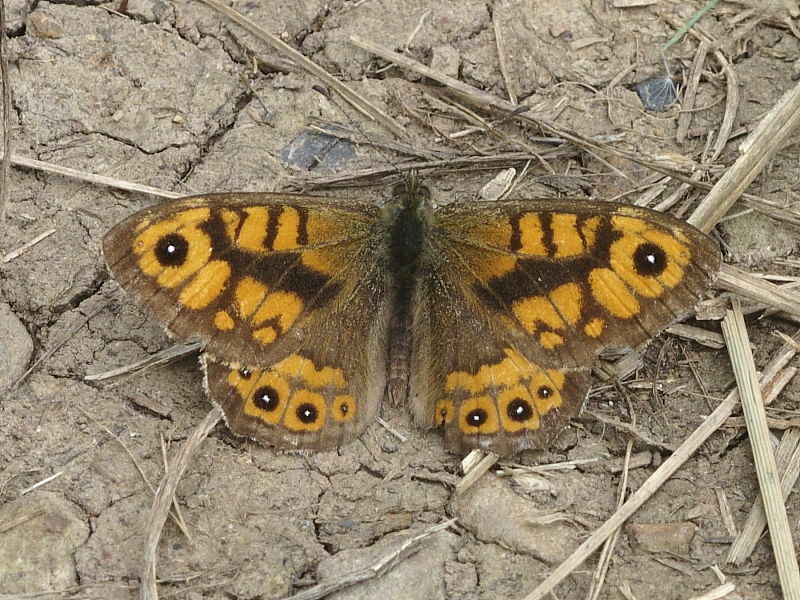 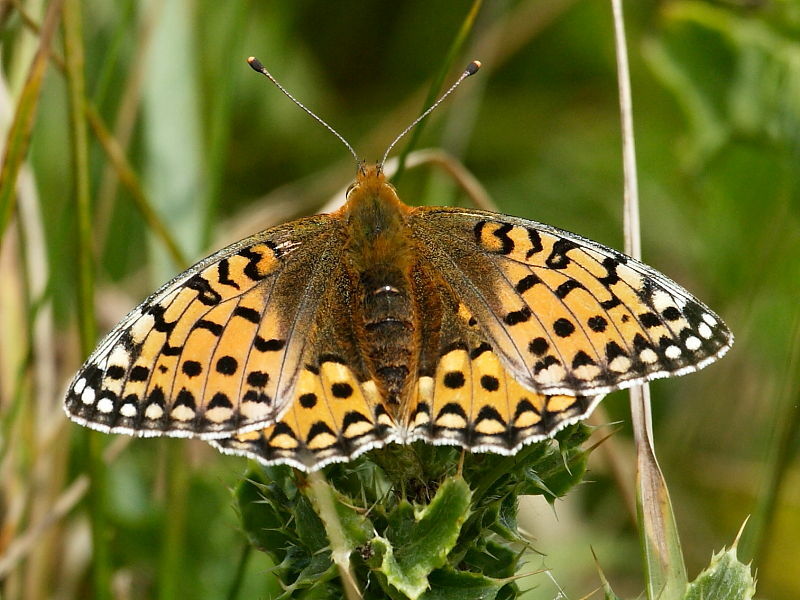 Peacock , Wall Brown and Dark Green Fritillary are regularly seen. 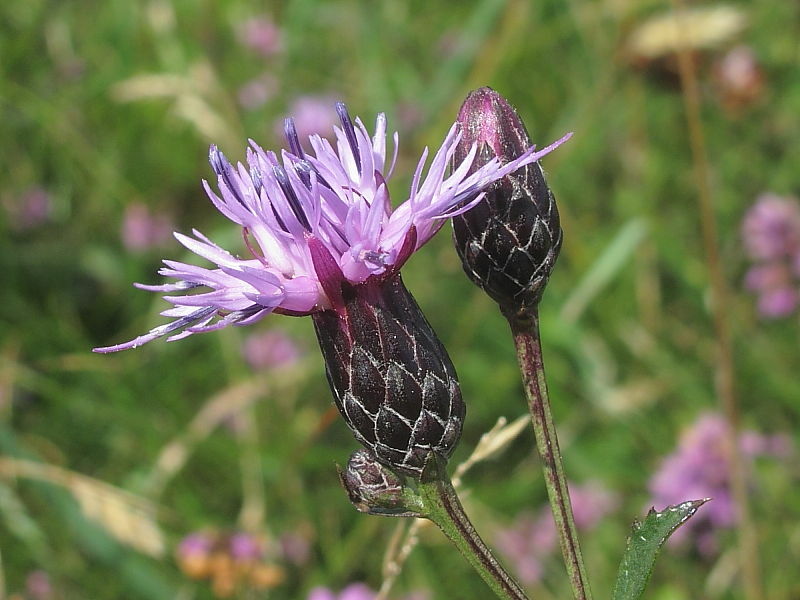 In late summer check out the purple flowering Creeping Thistle and Common Knapweed for butterflies. 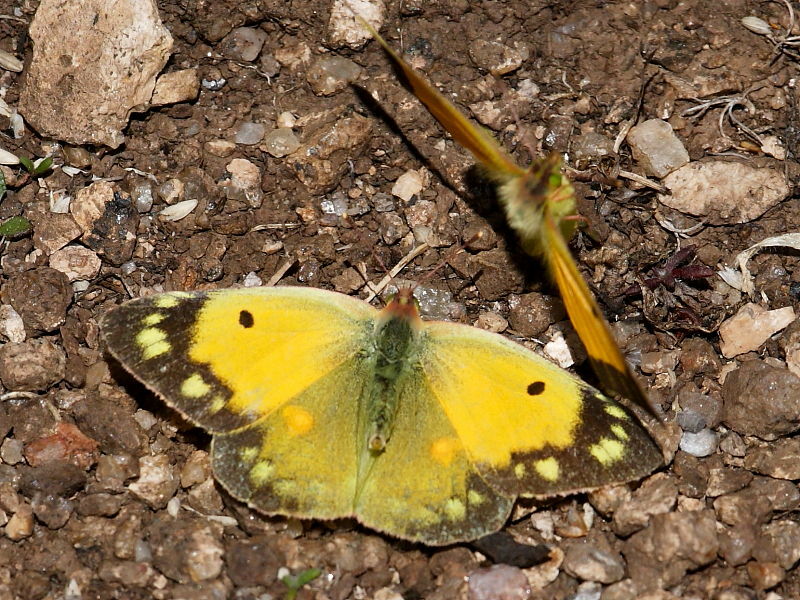 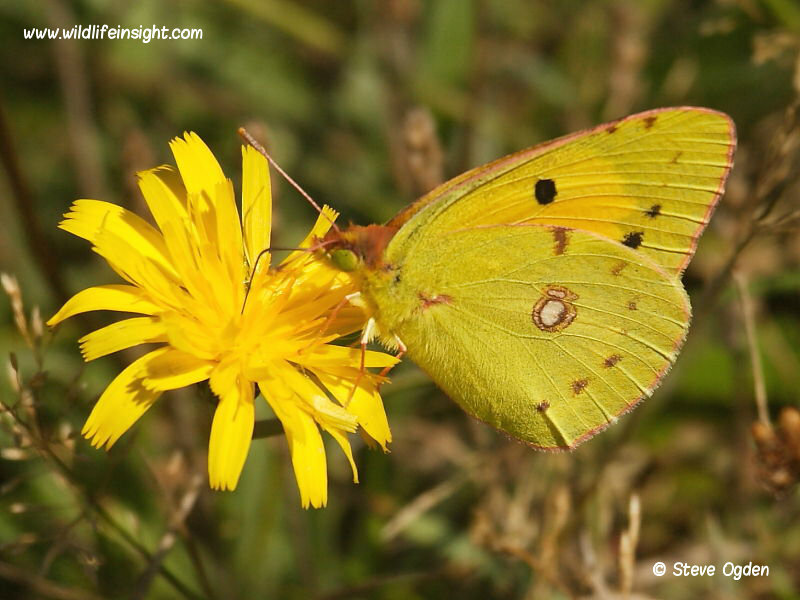 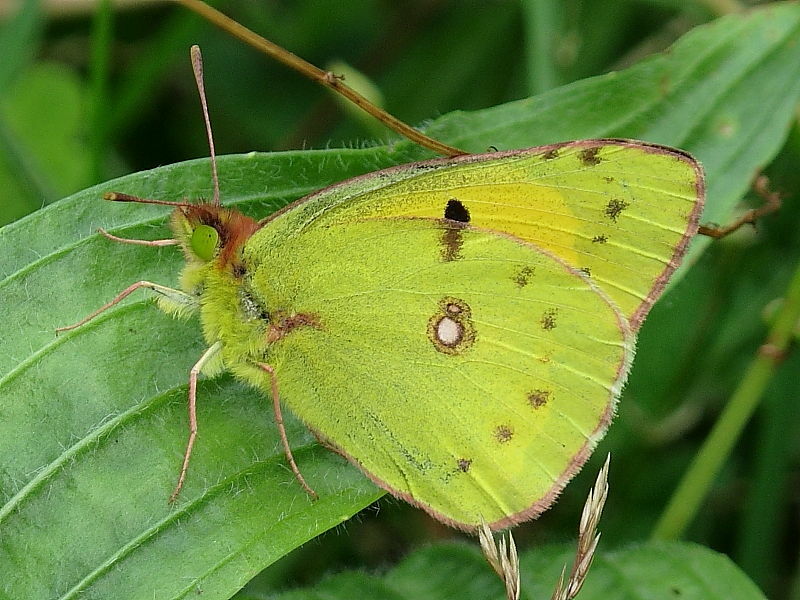 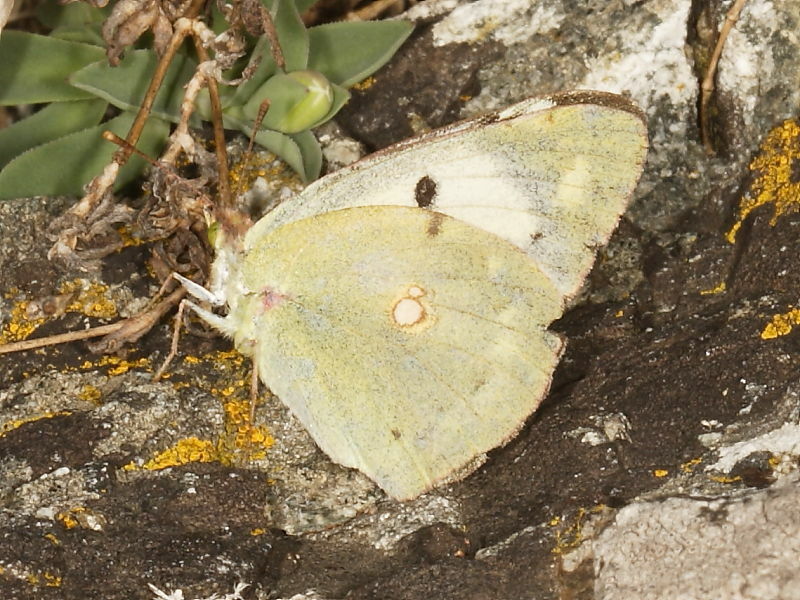 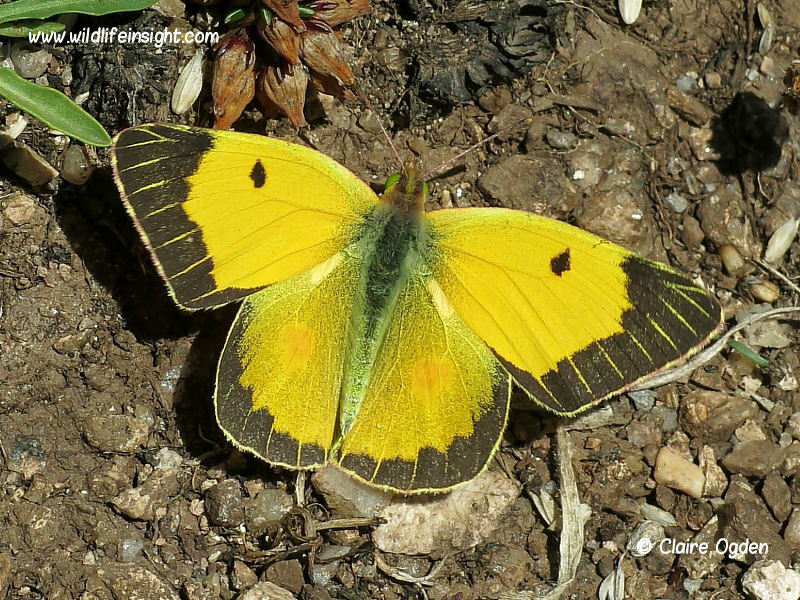 Migrant species such as Painted Lady and Red Admiral can be seen most years in variable numbers while catching sight of rarer Clouded Yellow is a possibility. 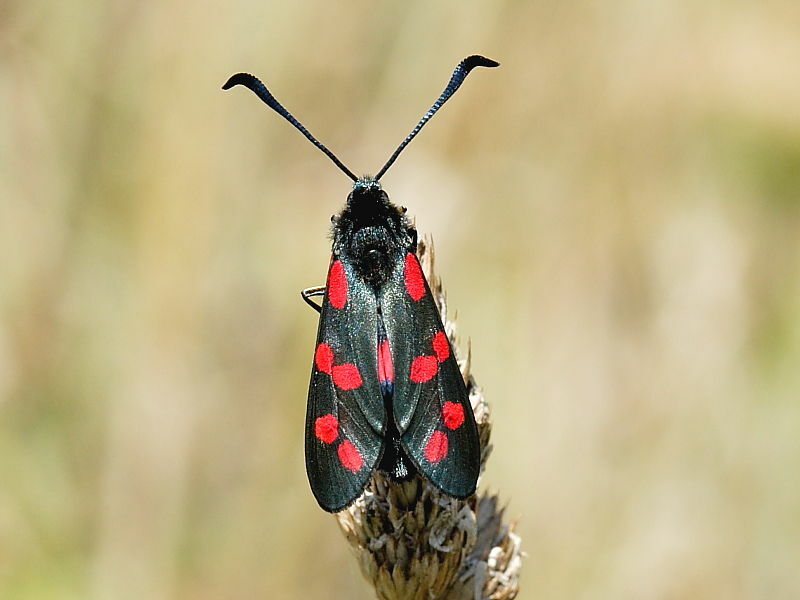 The dramatic red and black Six- and Five-spot Burnet Moth can be common in the summer months. 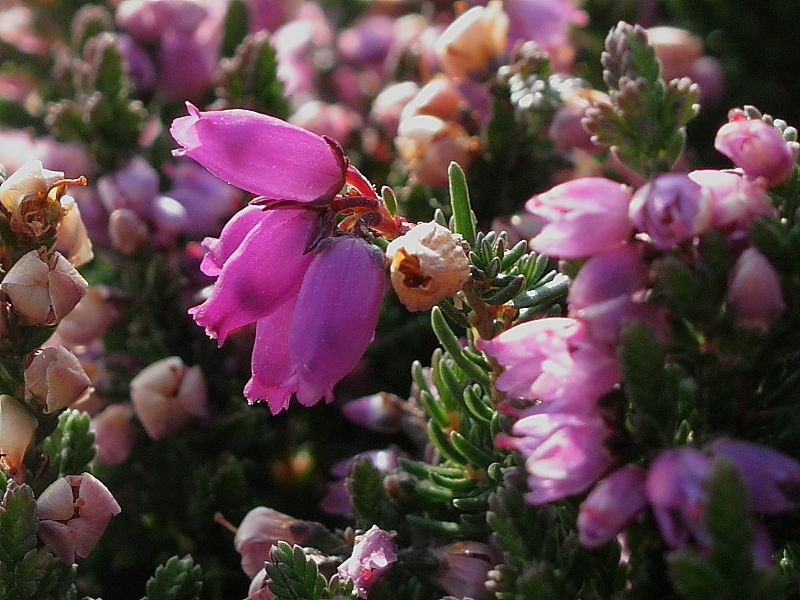 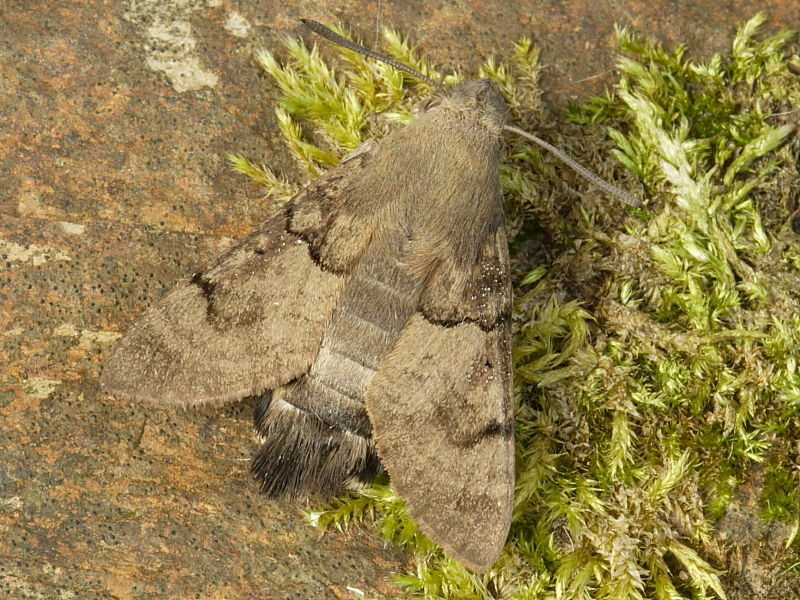 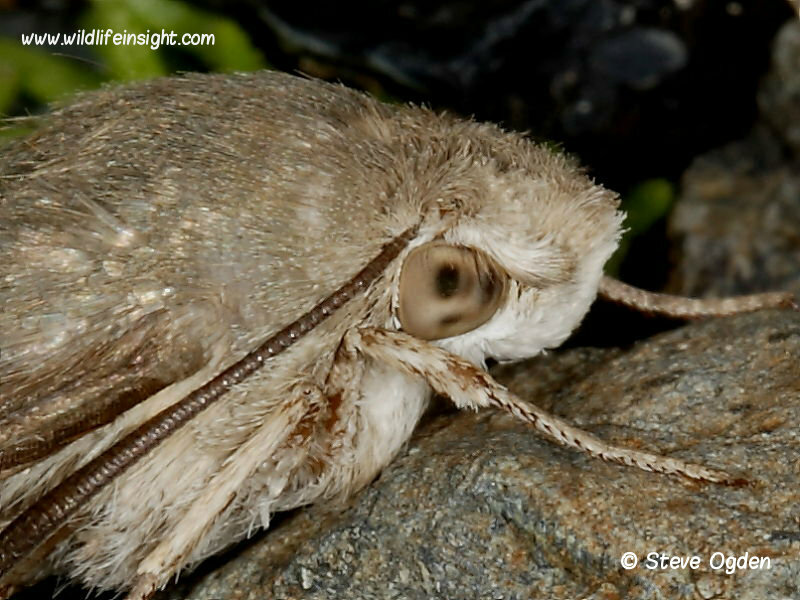 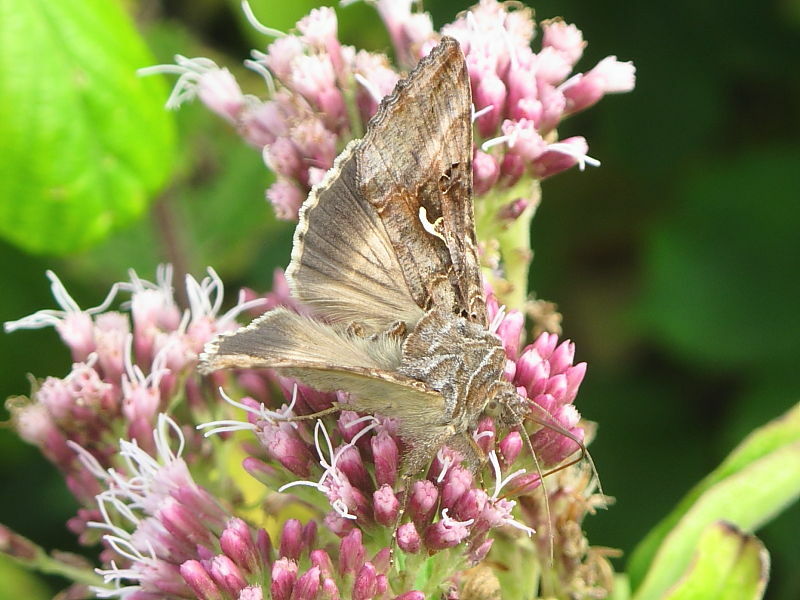 At times hundreds of migrant Silver Y moths feed at the Heather and other flowering plants. 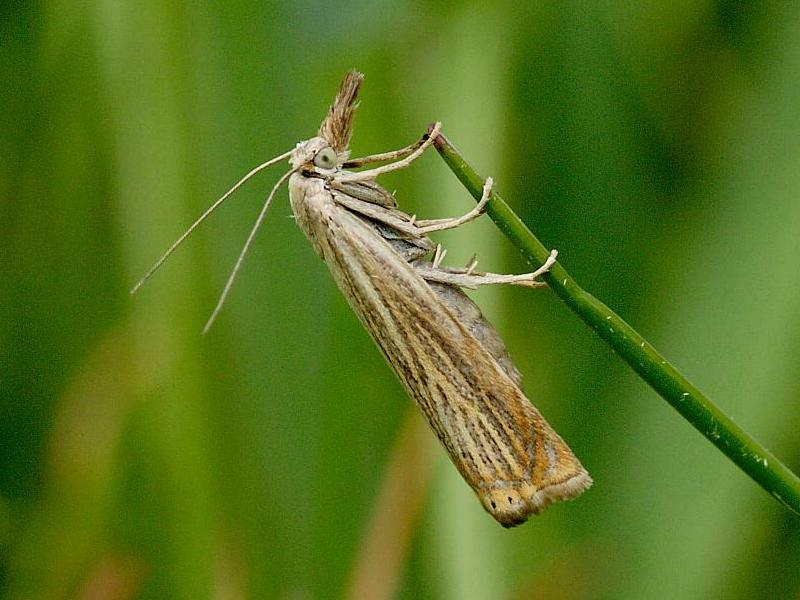 A variety of small Grass Moths are present but are only noticed if disturbed when they will fly a short distance before landing with their head pointing down on a grass stem. 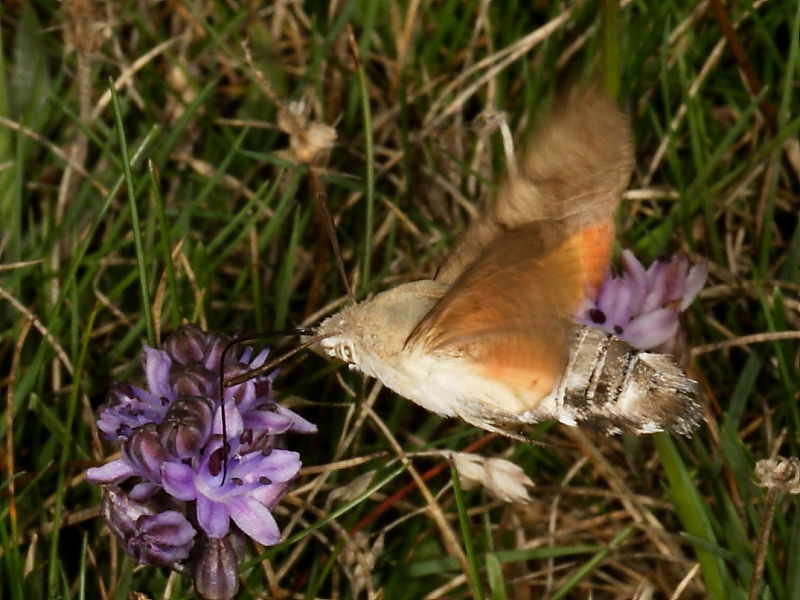 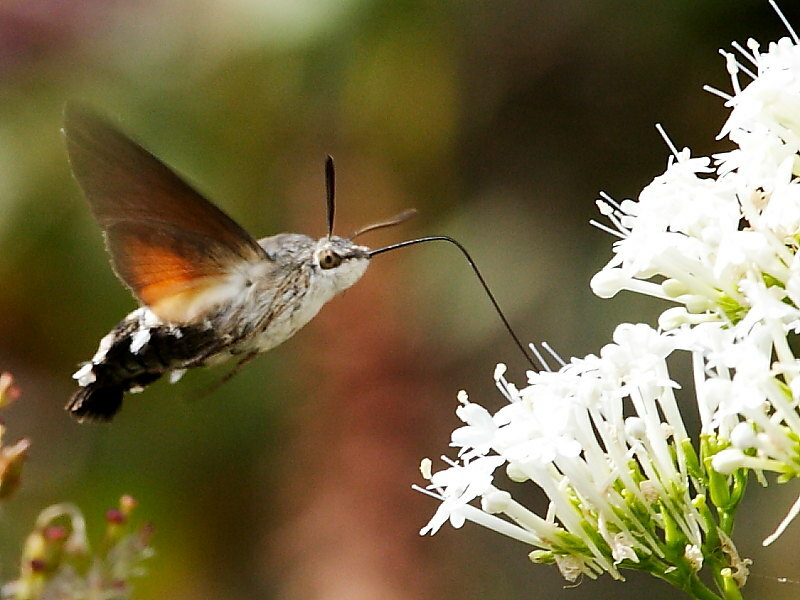 The migrant Hummingbird Hawk-moth, which may be seen hovering at a flower head like a tiny Hummingbird, is something to look out for. 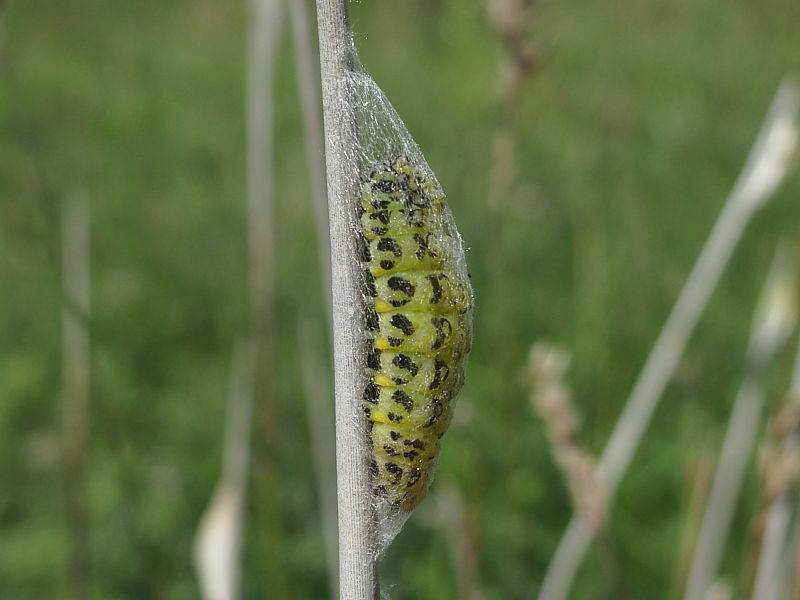 Burnet moth caterpillars are the most common to be found and their cocoons are also easy to spot glued to the top of grass stems. 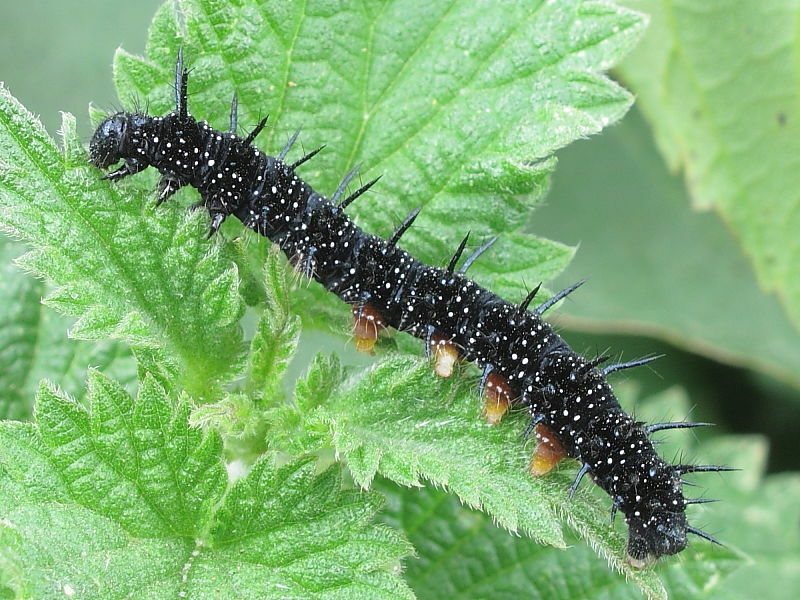 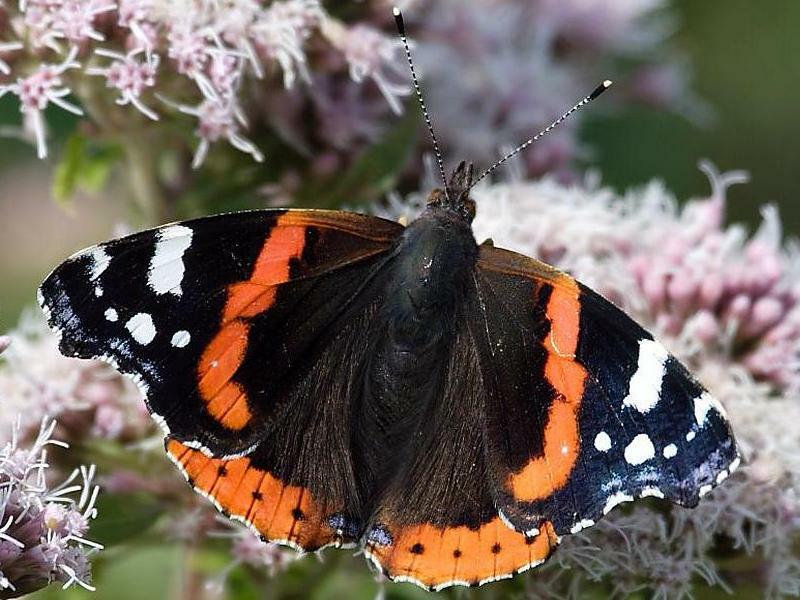 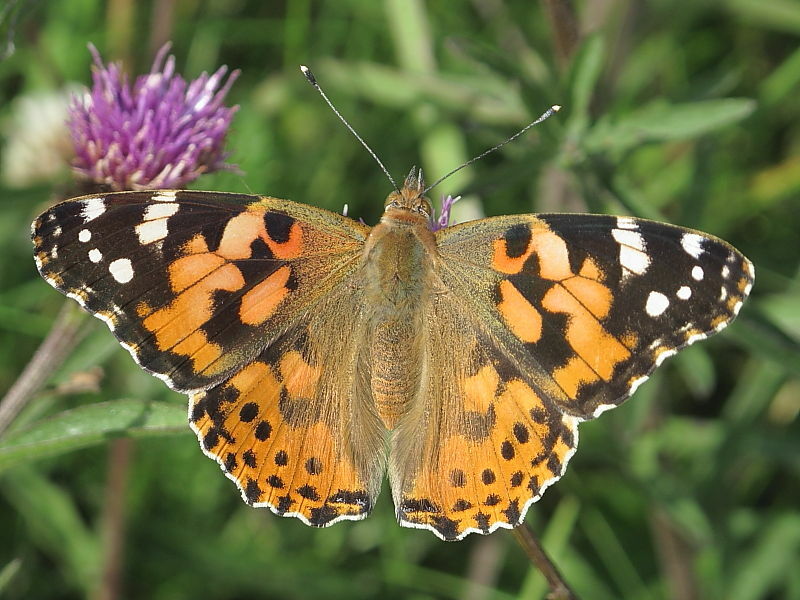 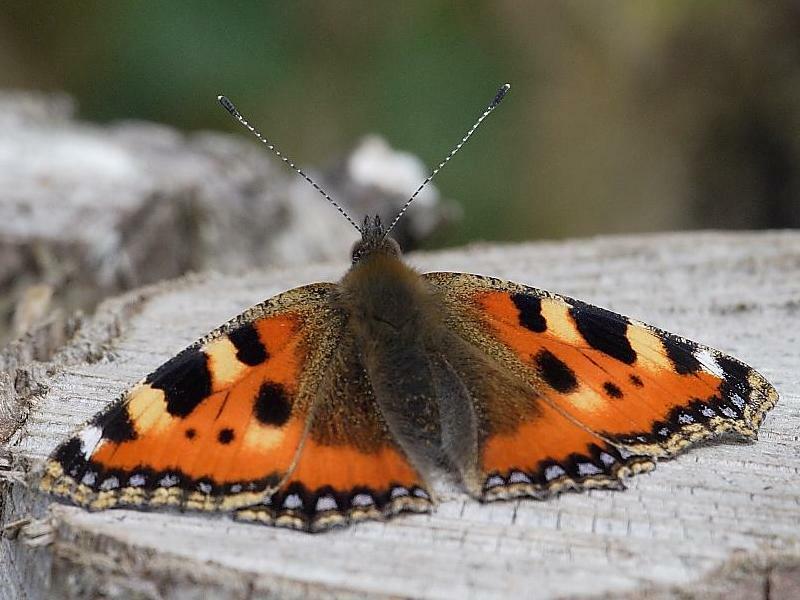 Small Tortoiseshell and Peacock caterpillars may be found on nettles and in some years the caterpillars of the Painted Lady, a migrant butterfly, may be found on thistles. 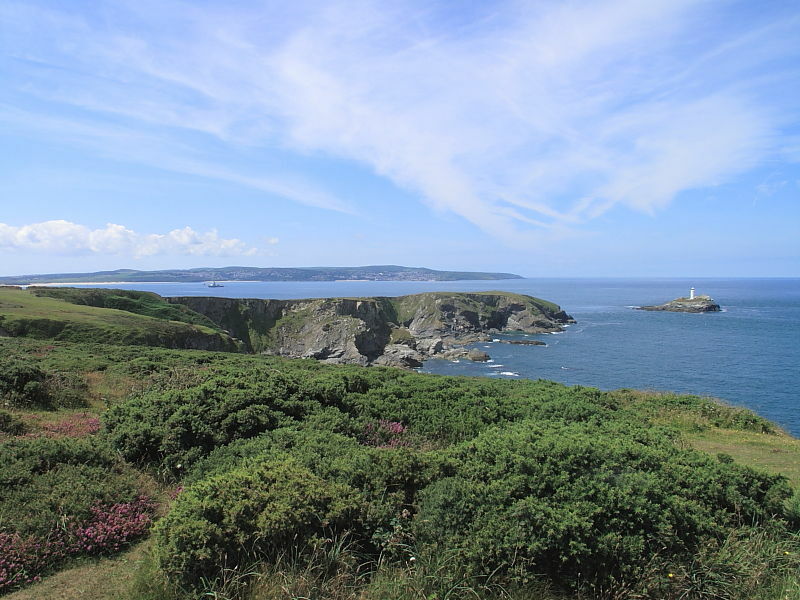 Godrevy Point is a headland on the northern end of St Ives Bay on the Atlantic coast of North Cornwall. 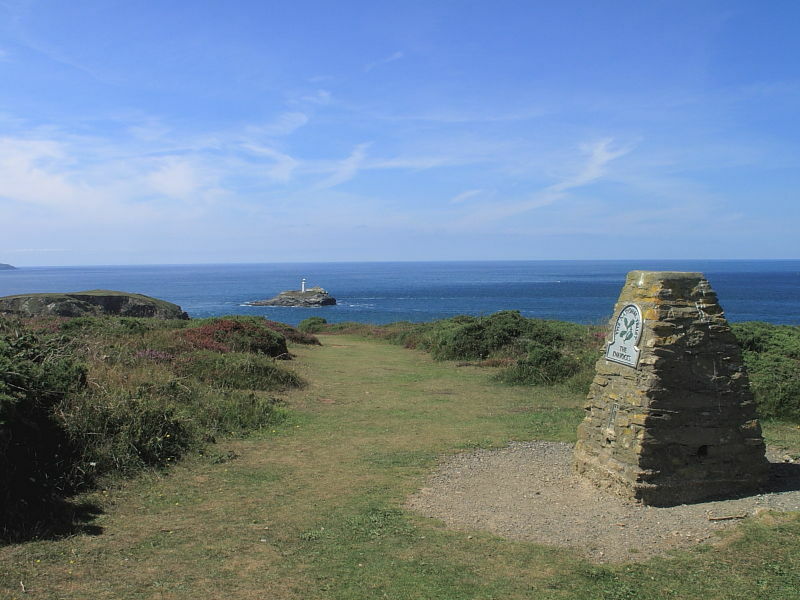 The site is managed by The National Trust. 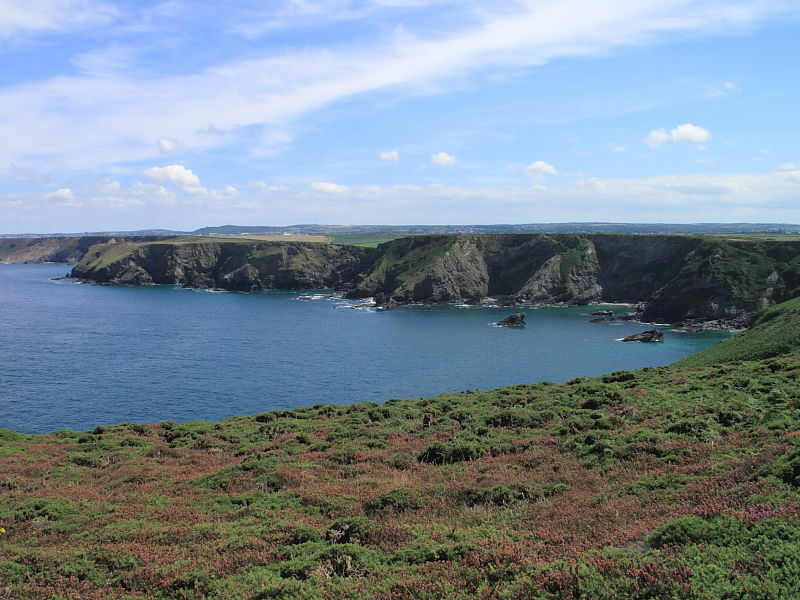 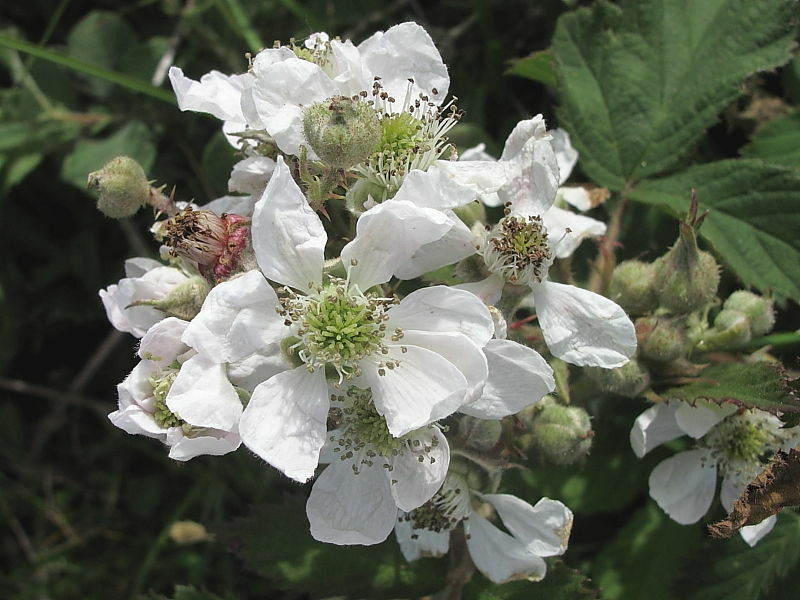 Walking: The car parks provide easy access to the South West Coast Path. 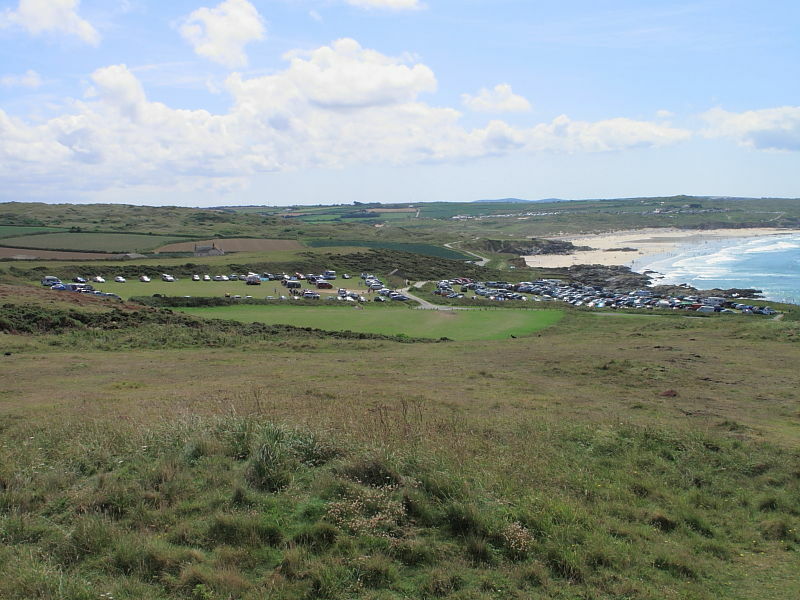 To the south, the path skirts the dunes to the Hayle estuary and round Carbis Bay to St Ives. 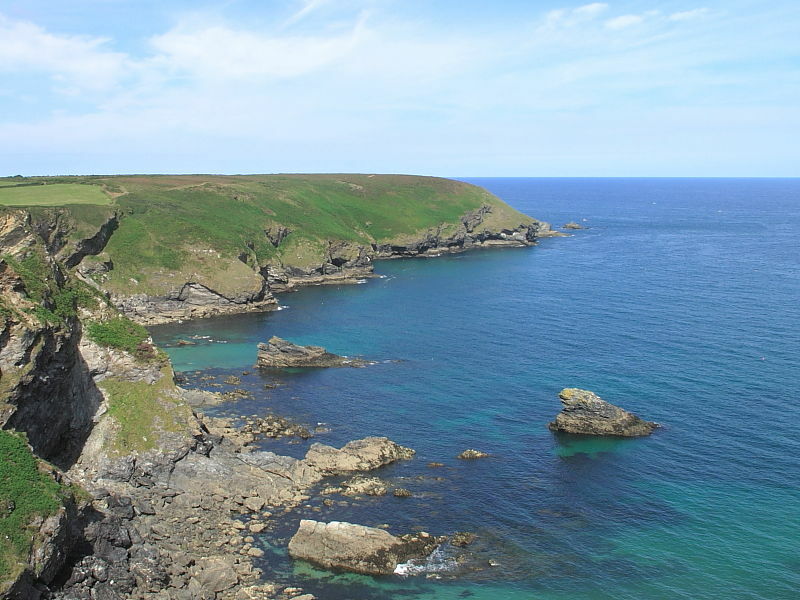 To the north the path crosses the heathland known as The Knavocks and follows the coast along North Cliffs towards Portreath. 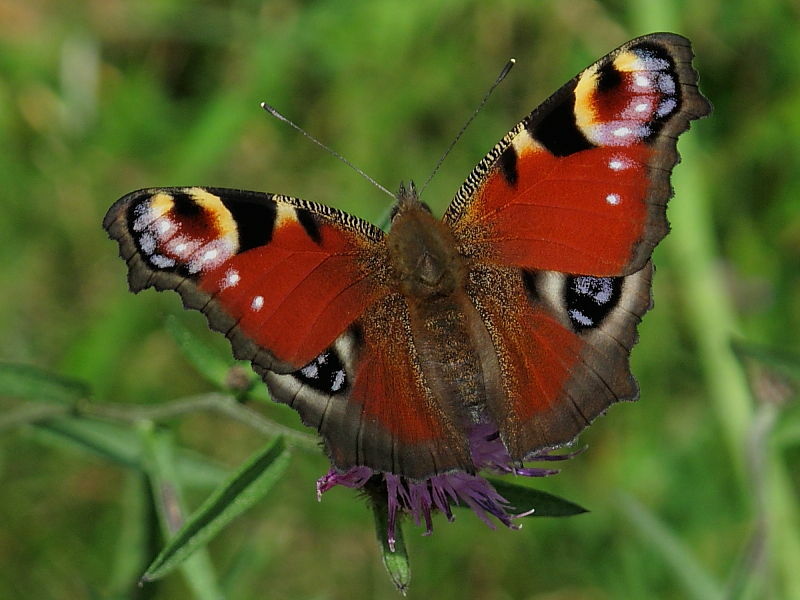 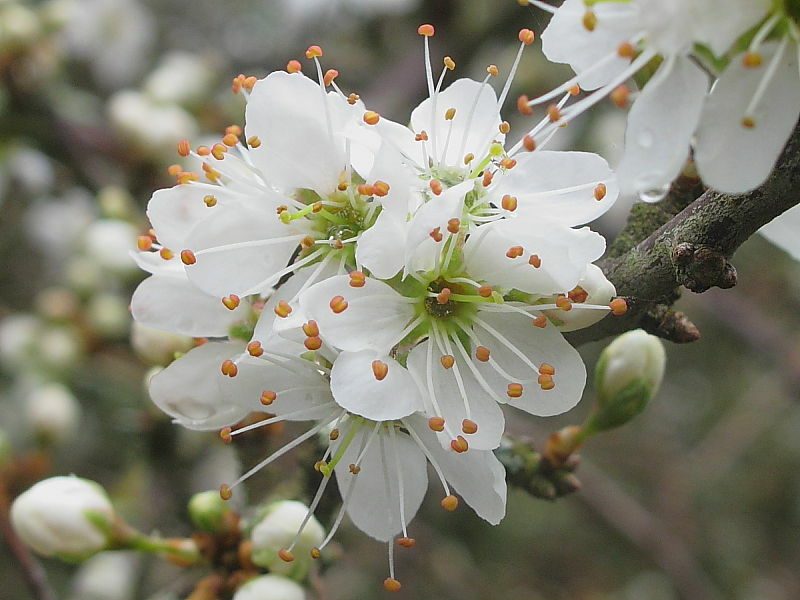 Click here to email Wildlife Insight.